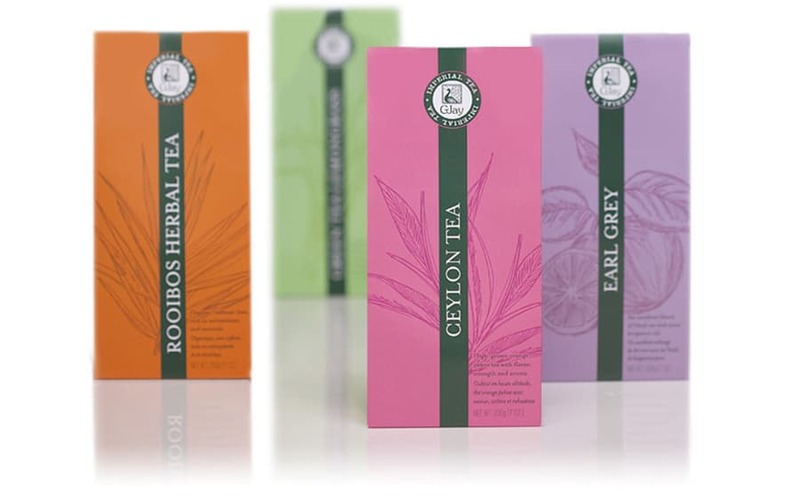 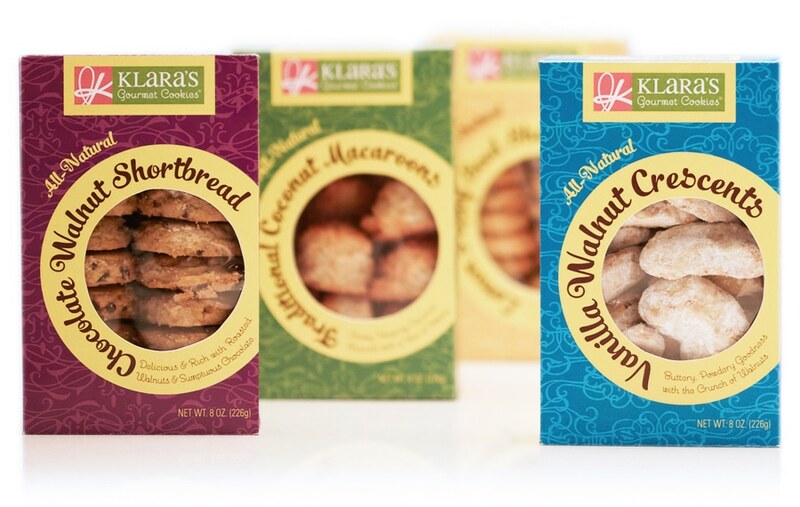 Packaging is the single most important touch point of your entire brand. 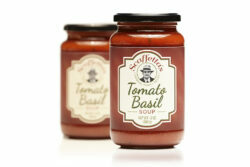 It not only needs to look outstanding but it needs to work strategically to sell itself on the shelf. 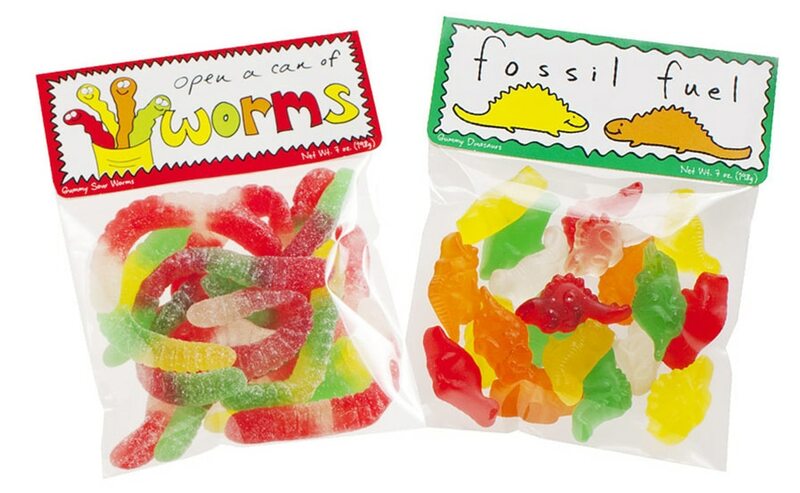 Is your packaging as effective as it could be? 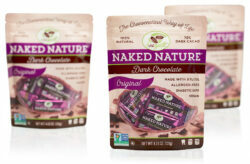 Healthy Chocolate Co. needed a new design for their line of “healthy” chocolates sweetened with xylitol. 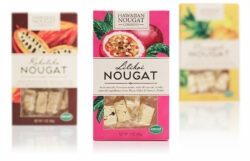 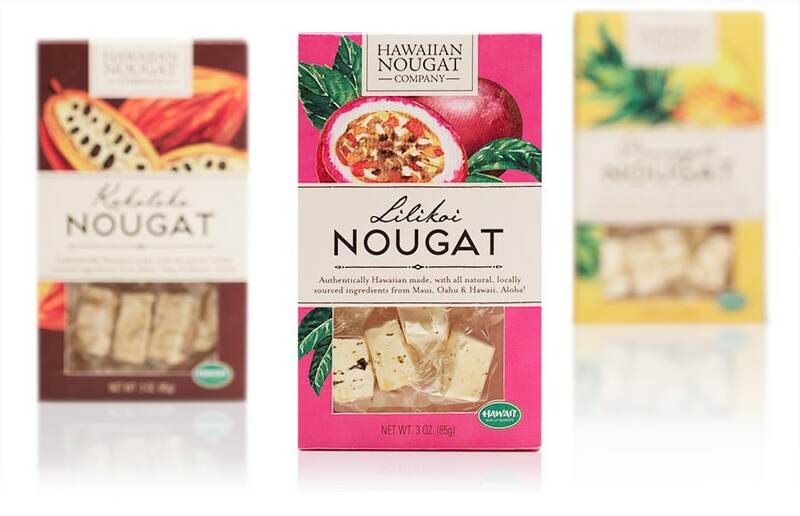 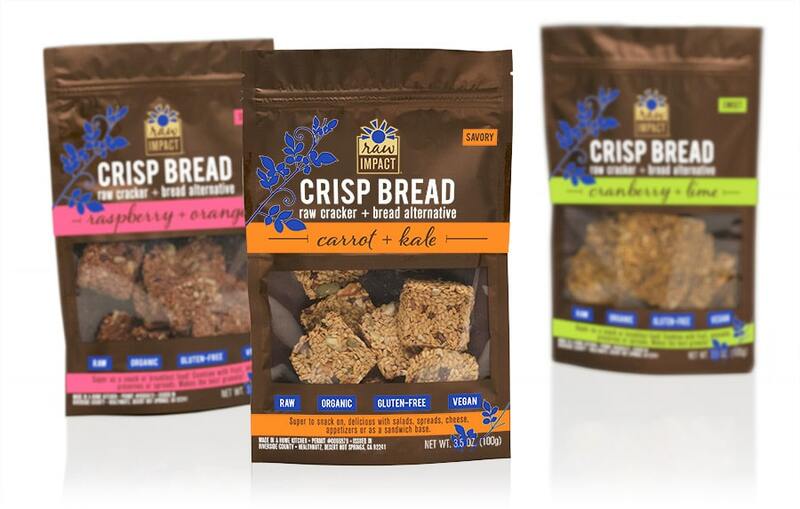 Branding it under their 4NoGuilt product line, we developed premium packaging that enabled them to take the next step in their business which is going into retail stores such as Whole Foods. 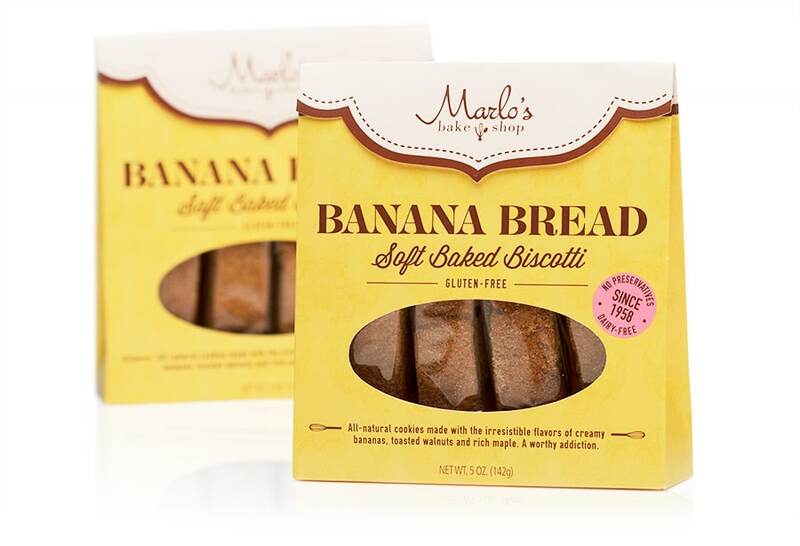 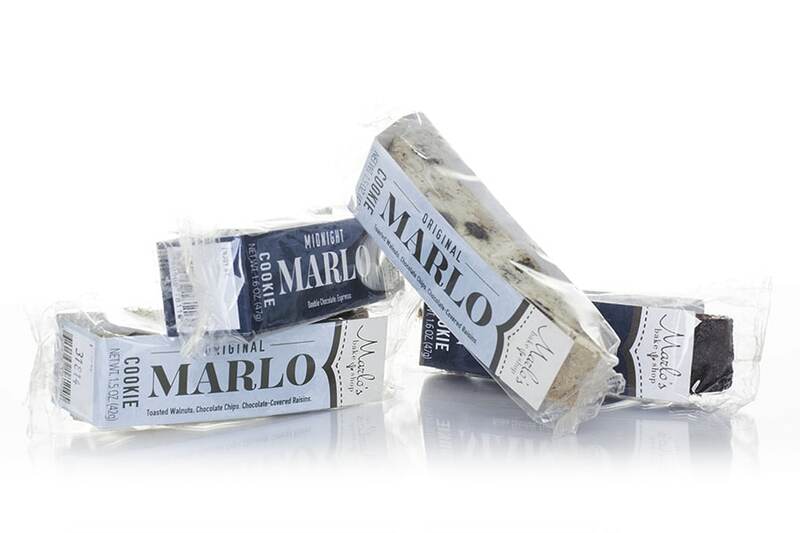 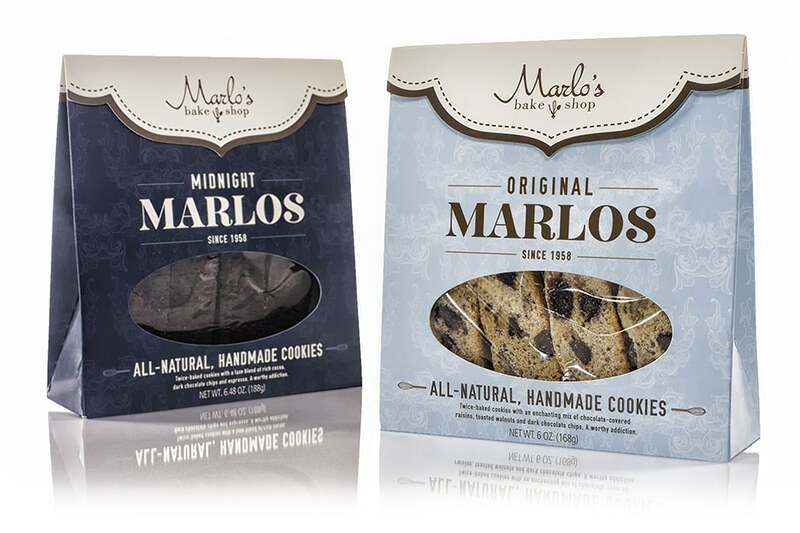 After designing Marlo’s original packaging in the custom box shape we developed, we helped them roll out their next flavor in this boxed line. 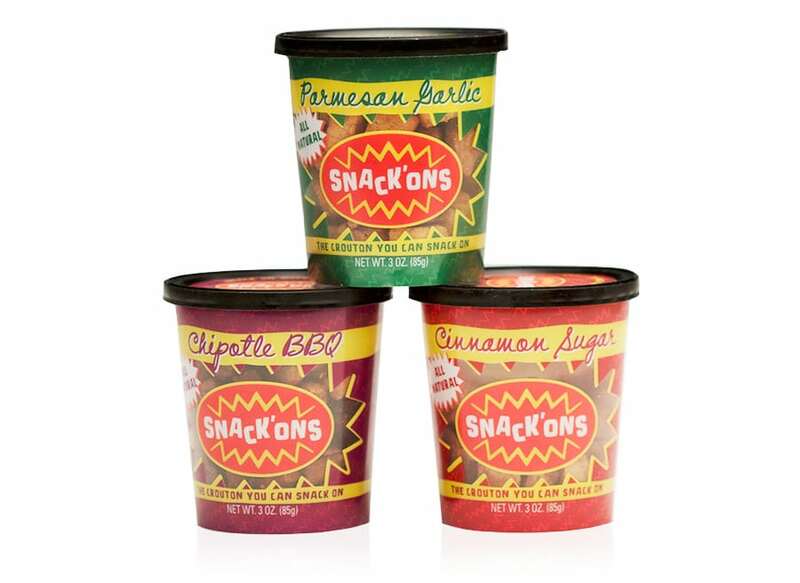 This line has been a huge success and they’ve only been growing since. 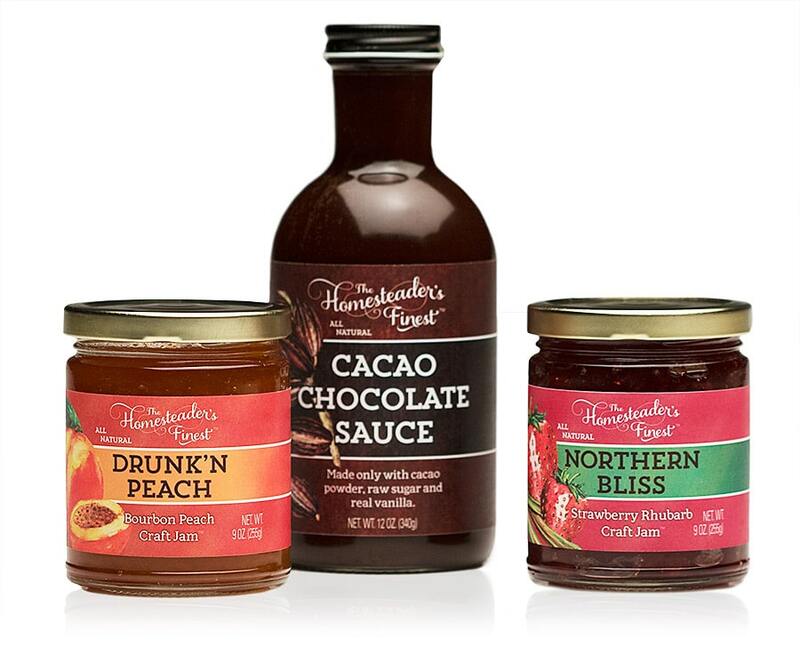 The Homesteader’s Finest had been successful in their local farmer’s markets and were ready to take their business to the next level. 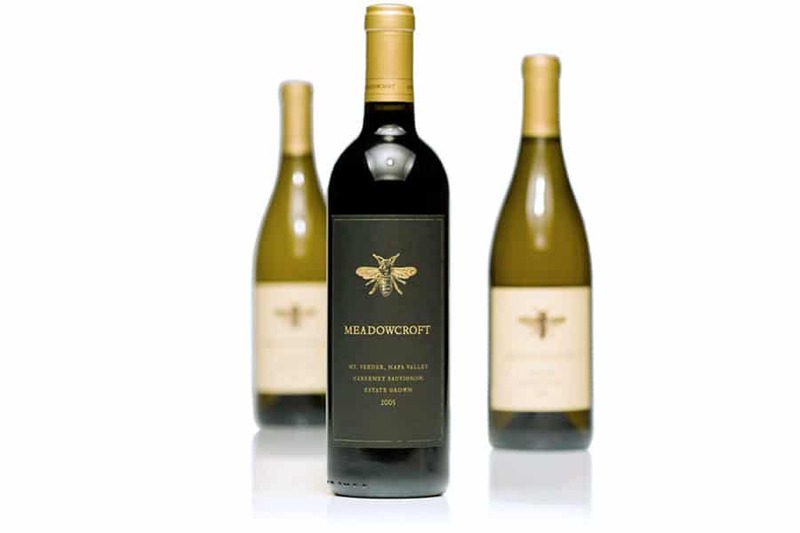 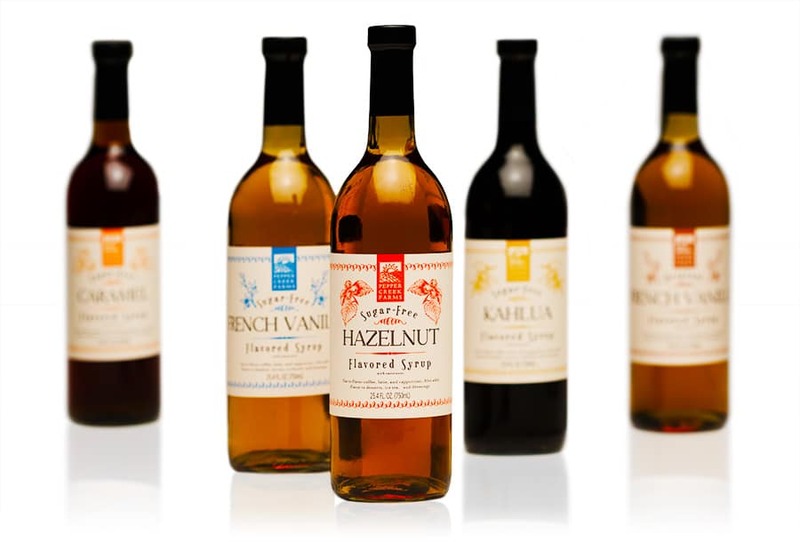 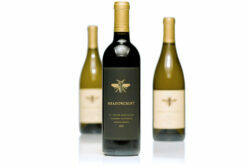 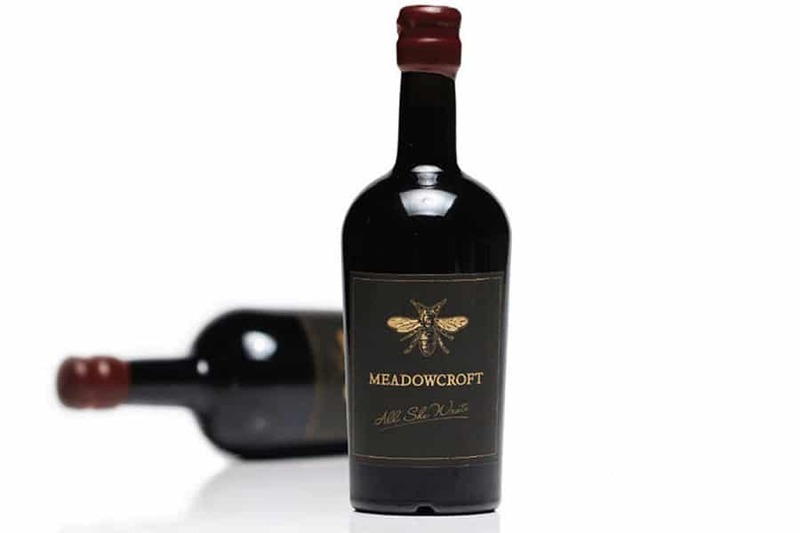 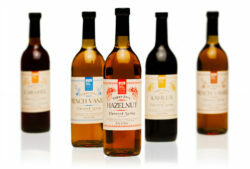 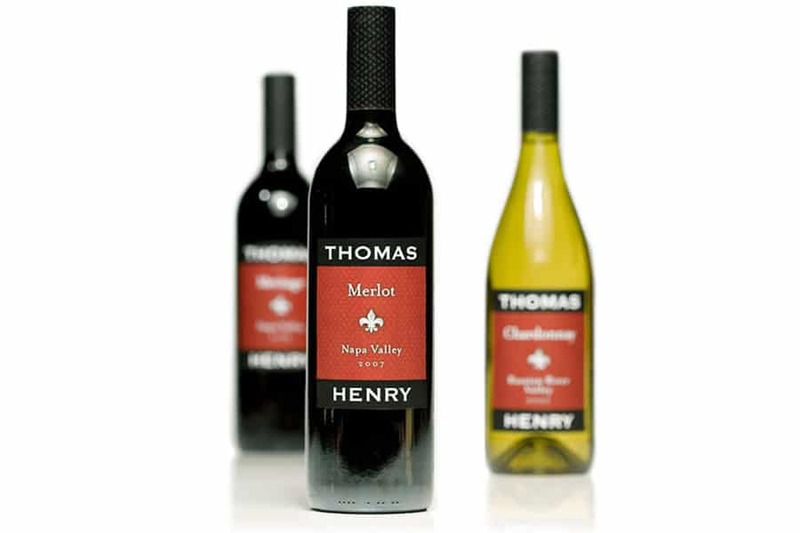 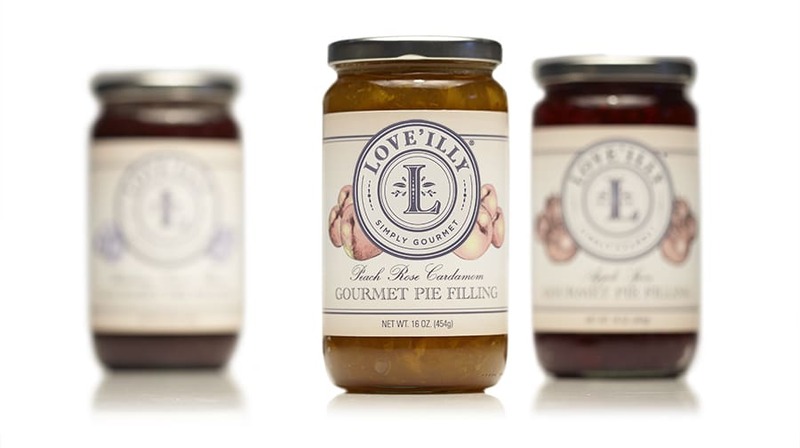 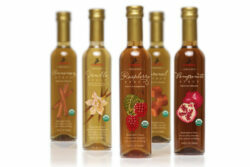 We helped them transform from their amateur look to the artisan upscale gourmet brand that they already were. 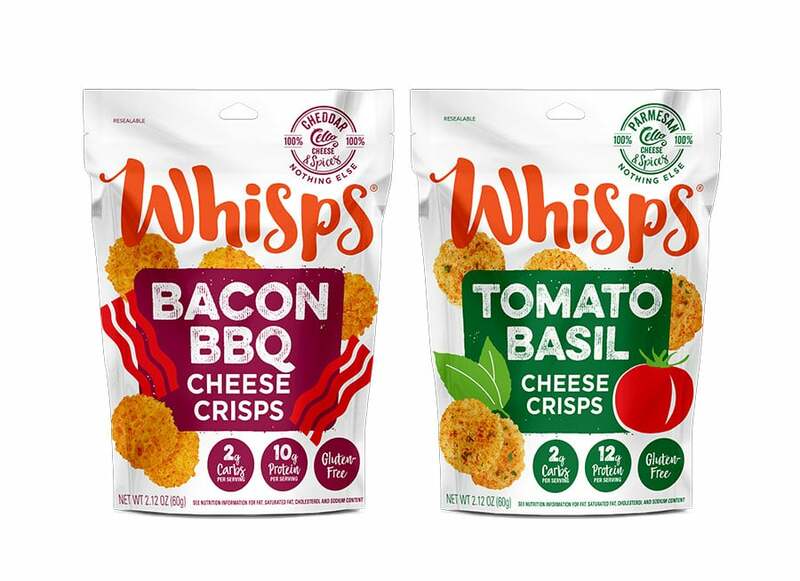 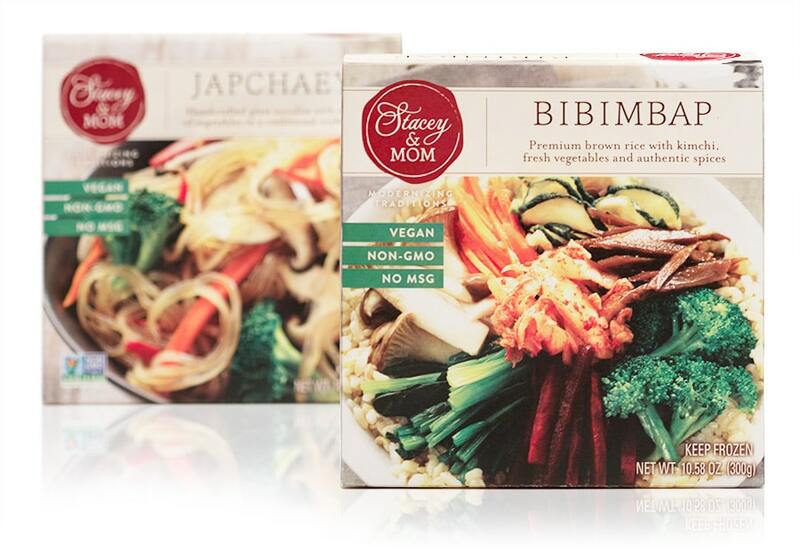 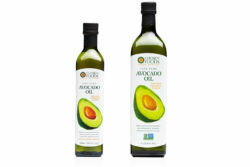 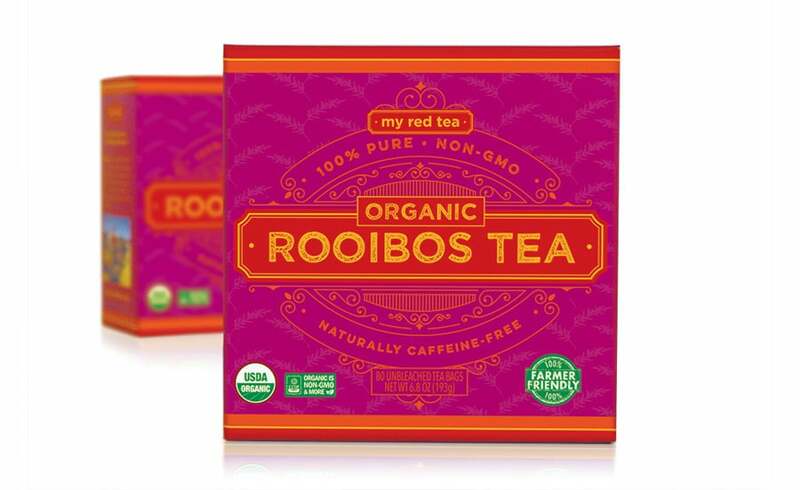 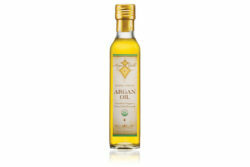 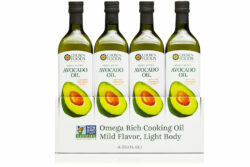 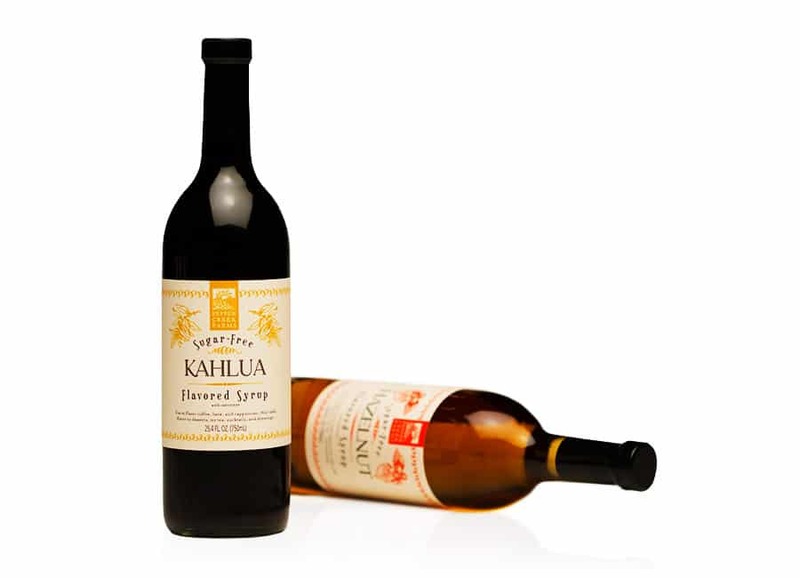 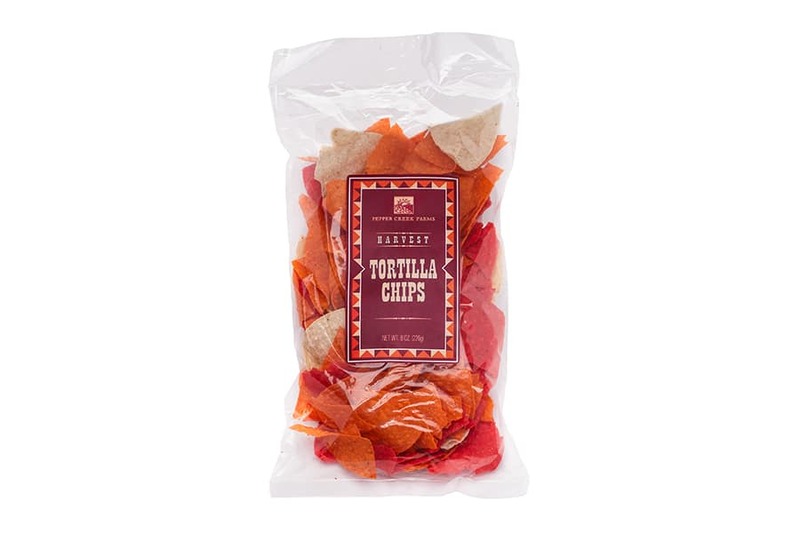 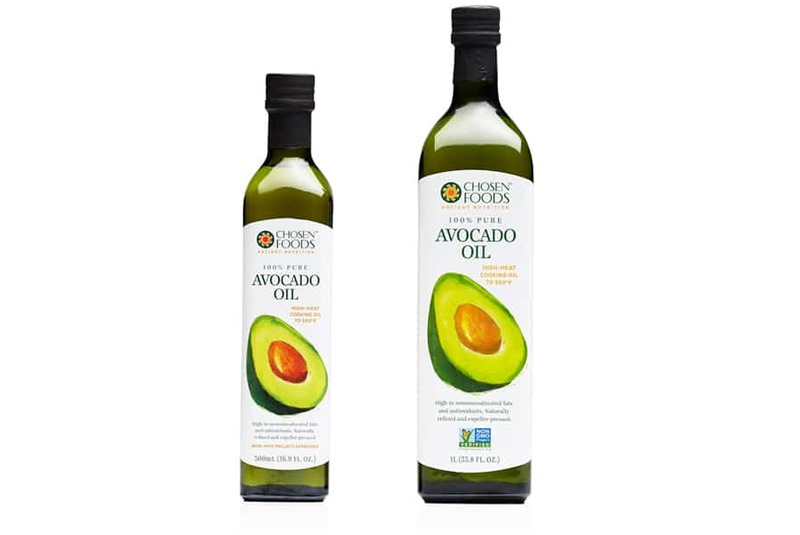 They have since gotten into many gourmet retailers and are in discussions with Whole Foods. 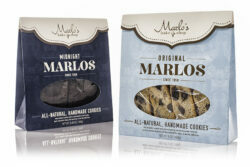 We also developed their new logo mark and website, and continue to support them as they roll out new products. Gourmet Guam sells premium popcorn made locally in Guam primarily as a souvenir for travelers, in high-end duty-free stores. 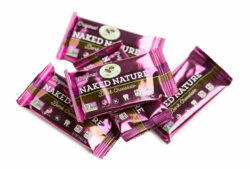 Their previous packaging was a stock pouch with a window which looked generic, and the window wasn’t protecting the product well. 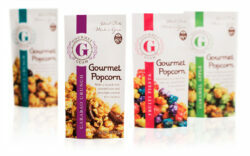 We helped them upgrade to a new foil pouch with a sleeker profile and custom design, showcasing their handcrafted popcorn in an exciting and appetizing way. We also developed their new logo mark. 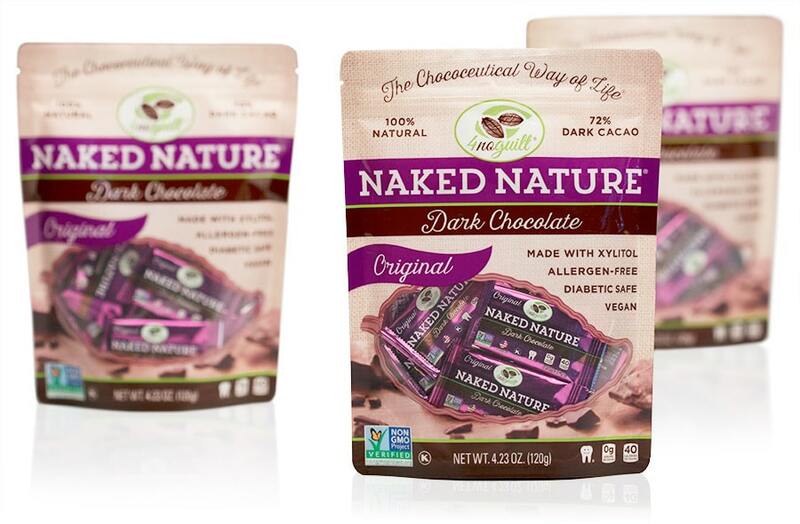 After developing Healthy Chocolate Co.’s 4NoGuilt pouch packaging for their Naked Nature line of dark chocolates, we did the individual piece wraps that go inside the pouch. 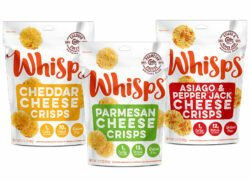 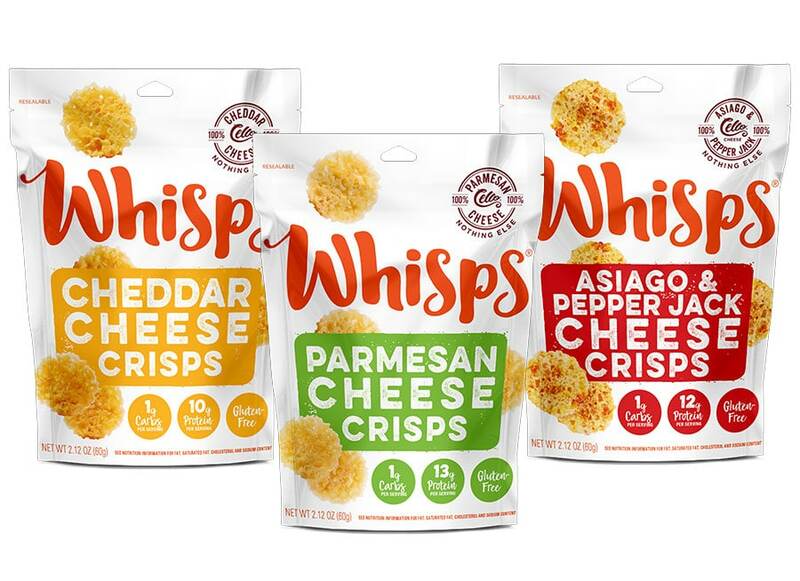 Since the pouch has a window, the wraps needed to be stunning. 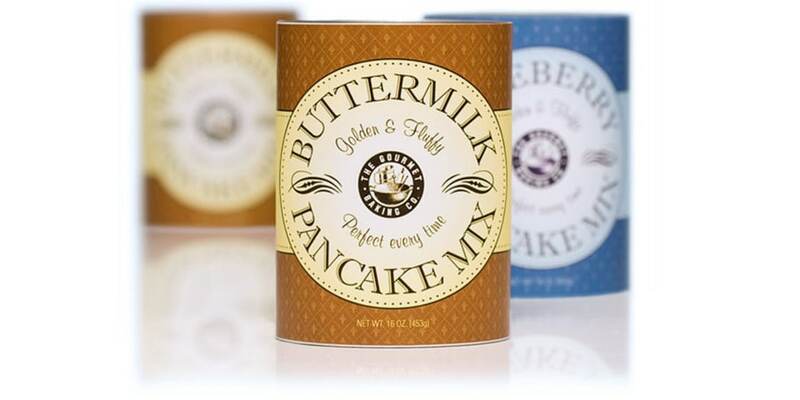 We let the natural shine of the foil come through, using opaque white ink selectively for matte areas for contrast. All the health callouts are on the front of this tiny package, with nutrition facts and other required information on the back. 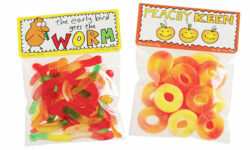 It was no small feat to make it all fit legibly! 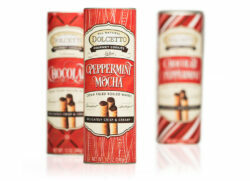 We developed this holiday canister packaging design for the Dolcetto’s line of packaging to boost holiday sales as a limited-time seasonal design. 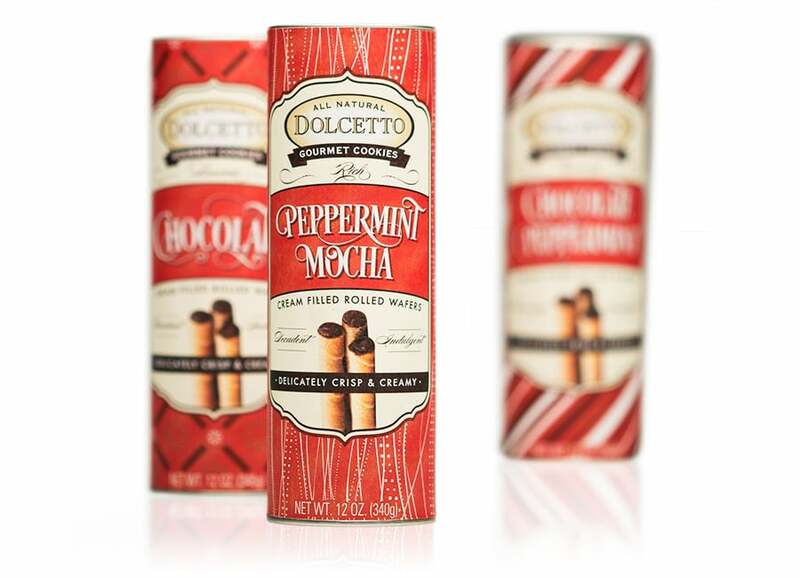 A signature holiday red color pairs with cream and brown accent tones for warmth and a chocolatey vibe, while the background patterns add fun and excitement while differentiating the flavors. 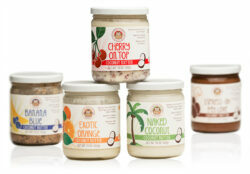 My Coconut Kitchen was ready to advance from local farmer’s market retailer to distributing in gourmet chains such as Whole Foods. 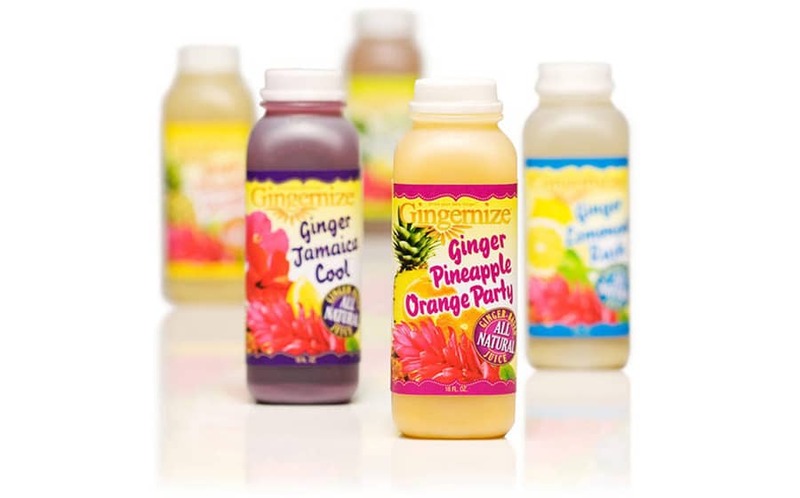 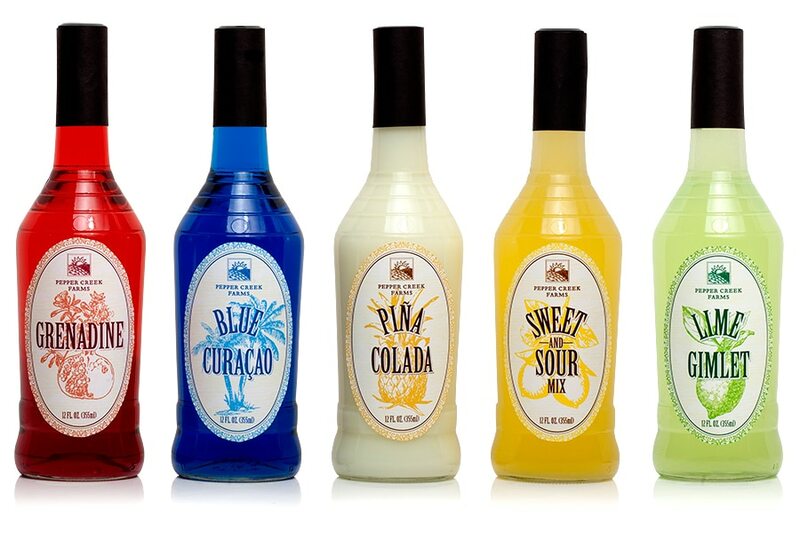 We helped them achieve that by developing an energetic, upscale packaging design based around their existing fun, quirky branding. 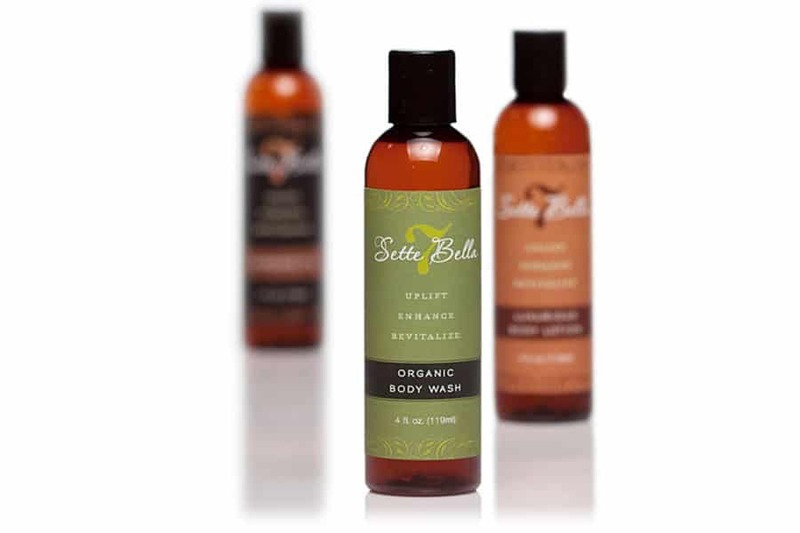 Usage suggestions and key selling points highlight the versatility and health benefits of the product. 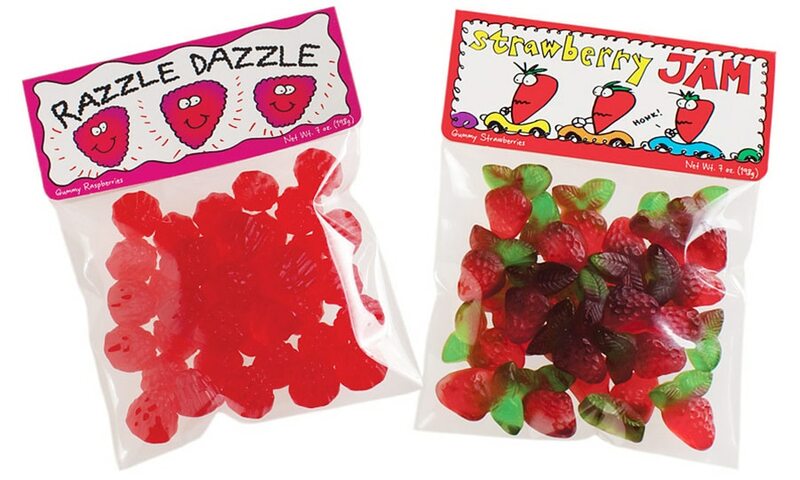 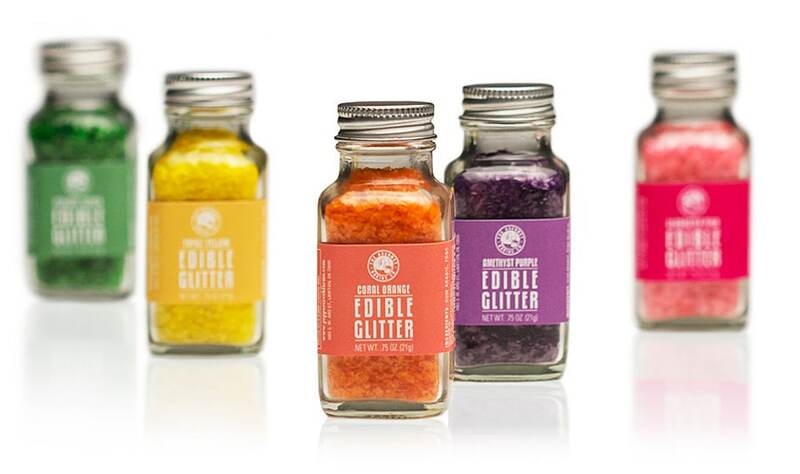 Pepper Creek Farms developed this edible glitter product to enhance their vast line of gourmet baking decorations. 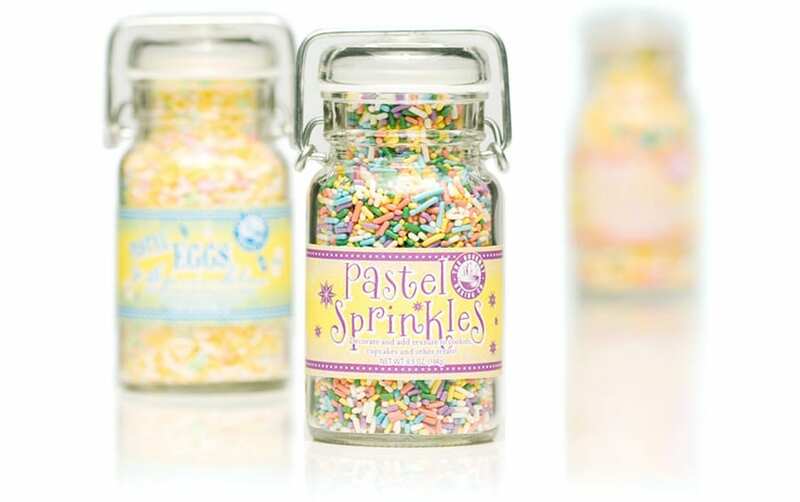 The small jars and bright, fun colors called for a design that embraced and enhanced the product’s colorful impact. 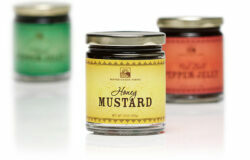 We kept it simple with matching saturated colors and clear, bold type. 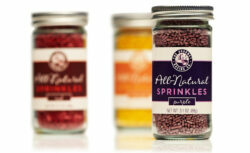 Design for new line of all-natural sugars for The Gourmet Baking Co. Goal was to coordinate with their overall brand look and feel with strong use of color but in a way that speaks to the natural foods market, and be complementary to the line of all-natural sprinkles. 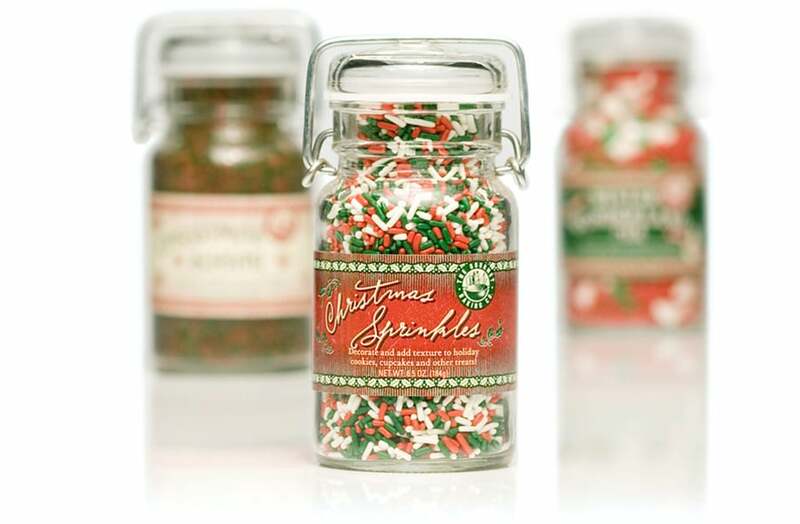 An extensive line of both festive and everyday decorating sprinkles with approximately 100 products. 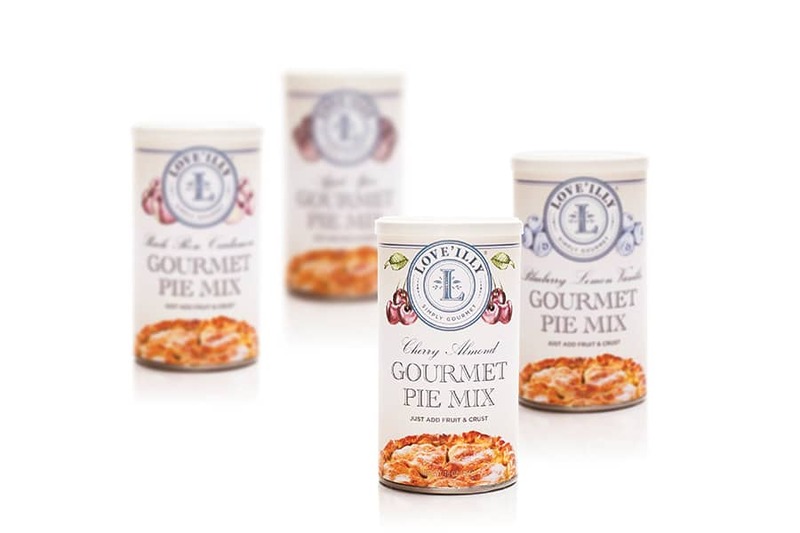 The challenge was to tailor each design to its product and group themes by subcategories, all while maintaining a unified line look and fitting within the overall The Gourmet Baking Co. branding. 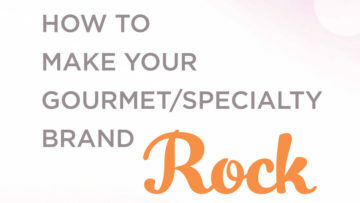 This design draws on a warm, home-baking theme to entice and inspire with this easy-to-use baking mix. Design for new Cornbread Mix kit for The Gourmet Baking Co. Color and texture draws on the rustic nature of the homemade bread in a way that is authentic and exciting. 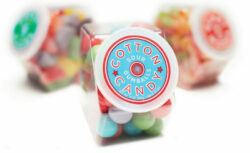 This design leans slightly retro in a fun, modern way. Packaged in a wide cardboard tube, the bright patterns differentiate each flavor and, together with the fanciful type, bring together elements of fun and whimsy for an effective package design. Design for new line of all-natural sprinkles for The Gourmet Baking Co. Goal was to coordinate with their overall brand look and feel with strong use of color but in a way that speaks to the natural foods market, and be complementary to the line of all-natural sugars. 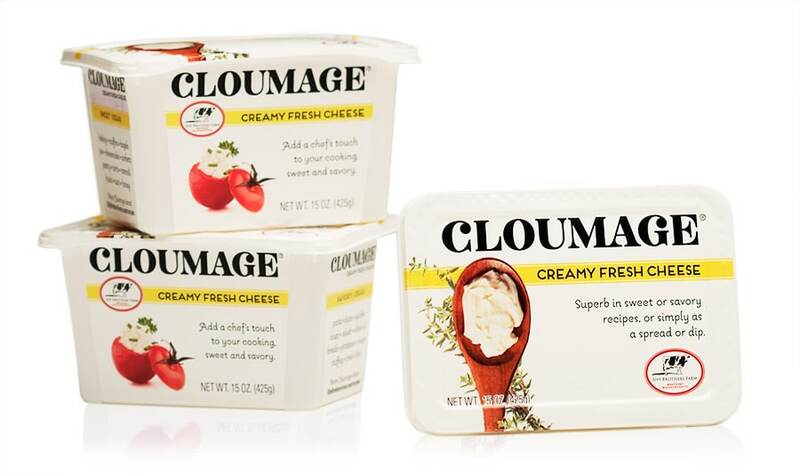 We created this elegant, clean design for an upscale, gourmet feel. 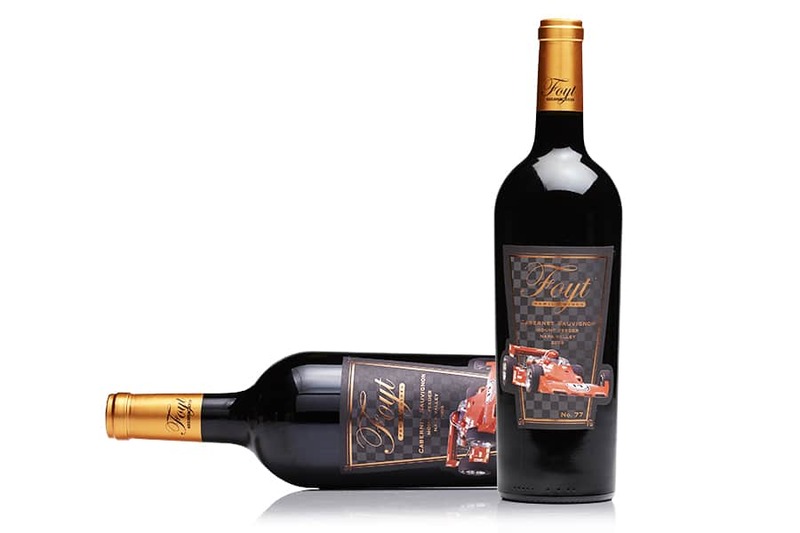 The large logo was important for brand recognition for this new brand, and we incorporated stock imagery for the illustrations for visual flavor differentiation among the line. 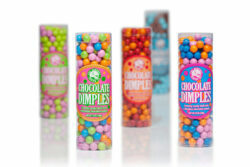 Fun, bright, bold design for this line of chocolate candies. 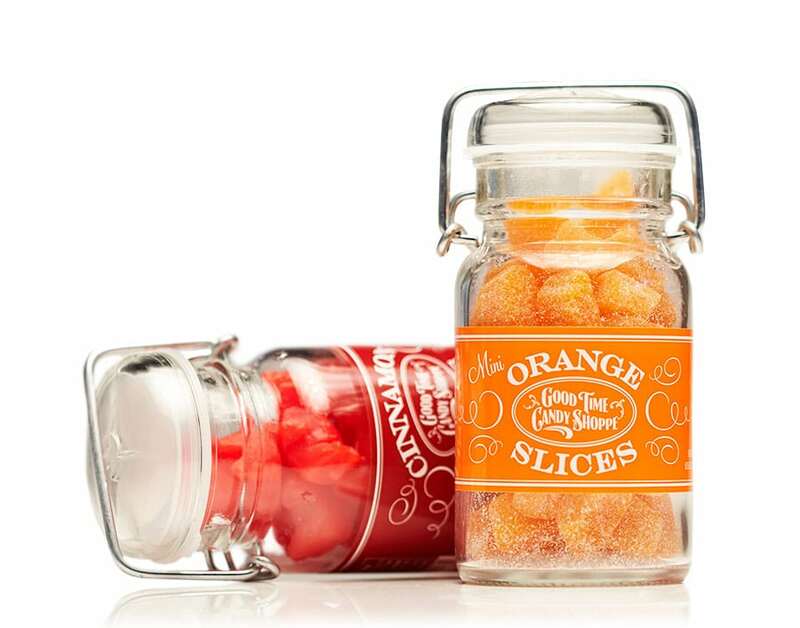 Nostalgic packaging design in old fashioned glass wire jars is simple and elegant to give an upscale feel to classic candy. 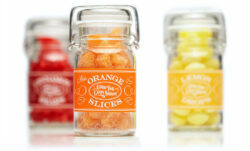 This fresh and modern design combined with a somewhat nostalgic candy jar shape makes these gumballs stand out. 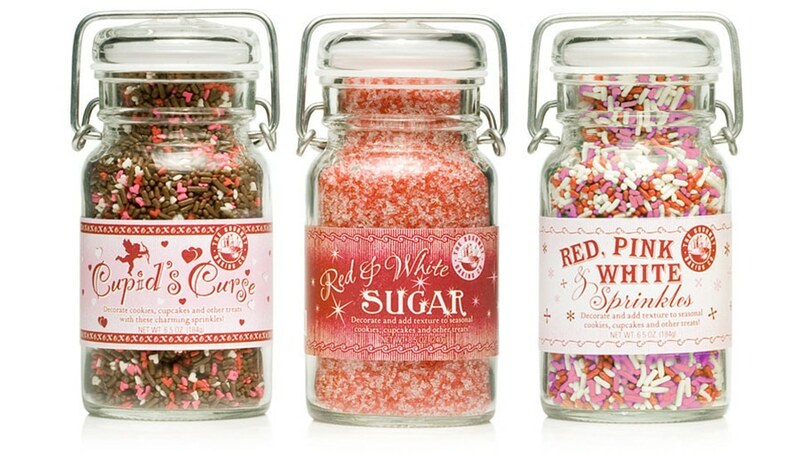 We infused a heavy note of fun with the circular text and bold yet not over-the-top colors speaking to the whimsical nature of the product. These harken back to the candy shop nostalgic days of yore but are packaged in a modern clear printed cup so we had fun with that balance in this project. The cups feature bright patterns specific to each type of candy, and the print creates a window on the front to see the product inside. The lids are printed with similar graphics to match the cups. We also did the logo and branding on this project as well. 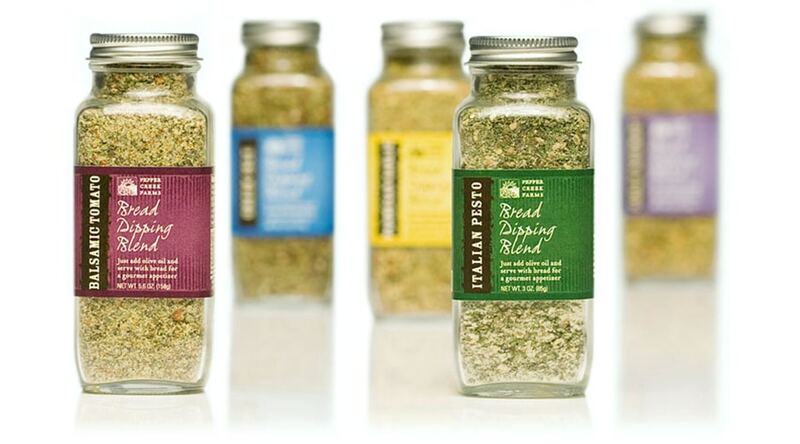 An approachable design connotes ease of use—just add oil—for these authentic bread dipping spice blends. Color draws on the nature of each product’s signature flavor. 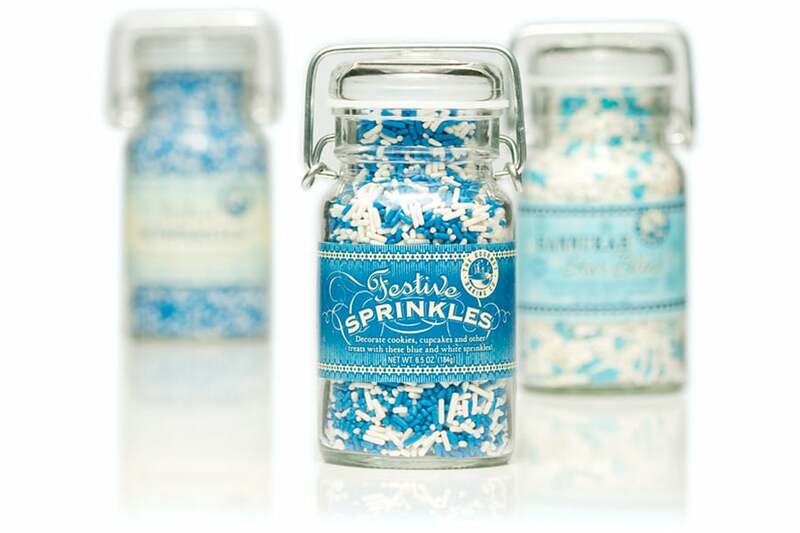 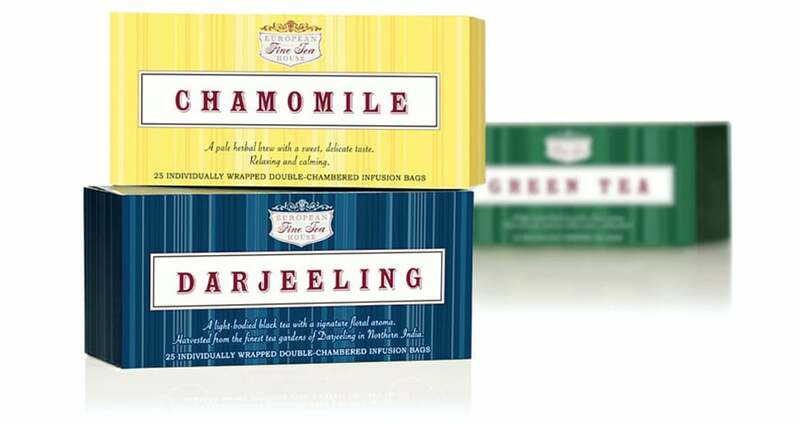 Exotic sea salts from around the world needed a design to convey just that. 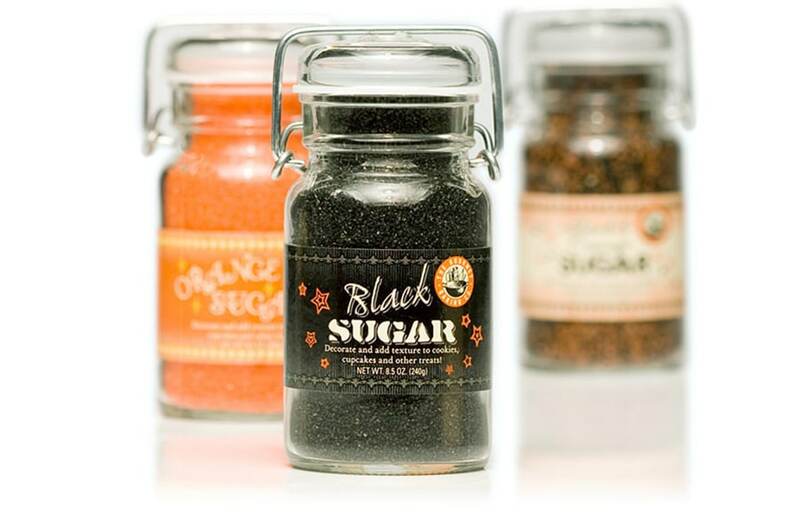 Packaged in an old-fashioned glass wire-top jar, these beautiful salt granules look stunning on their own and we designed the label to elevate their natural look even further. 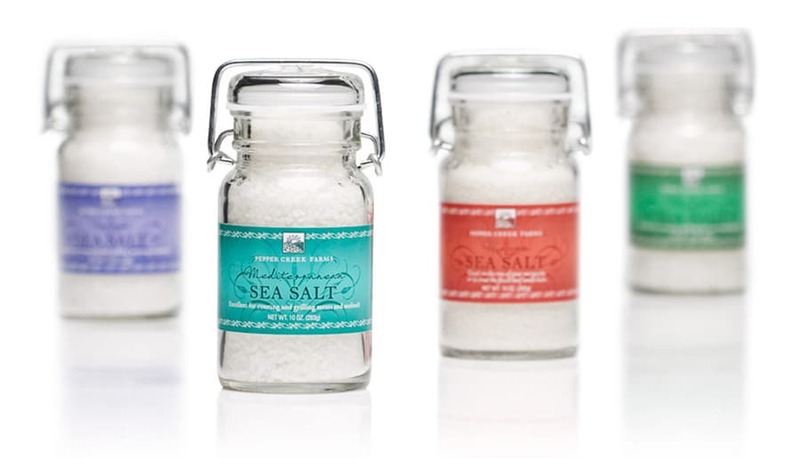 Each has a signature color indicative of the region its salt is sourced from, with exotic and elegant botanical-like flourishes to further enhance the essence of these salts. 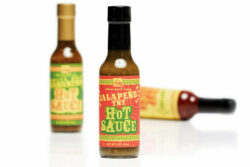 Coordinates with pepper line. 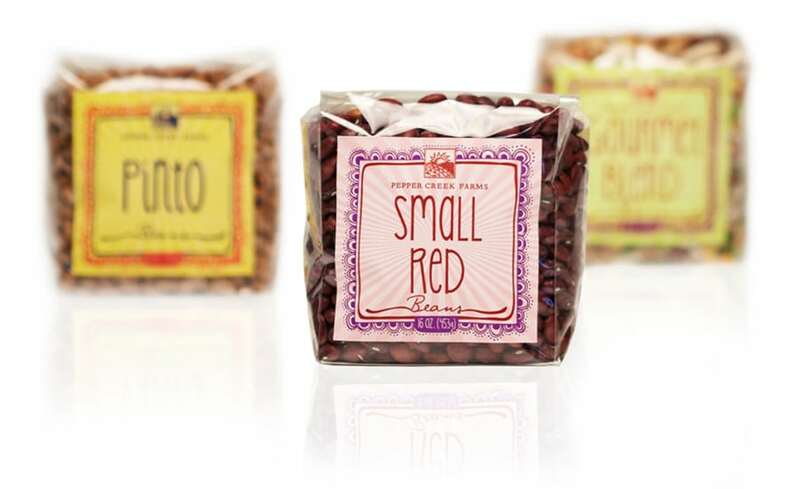 An extensive line of spices with strong color differentiation. 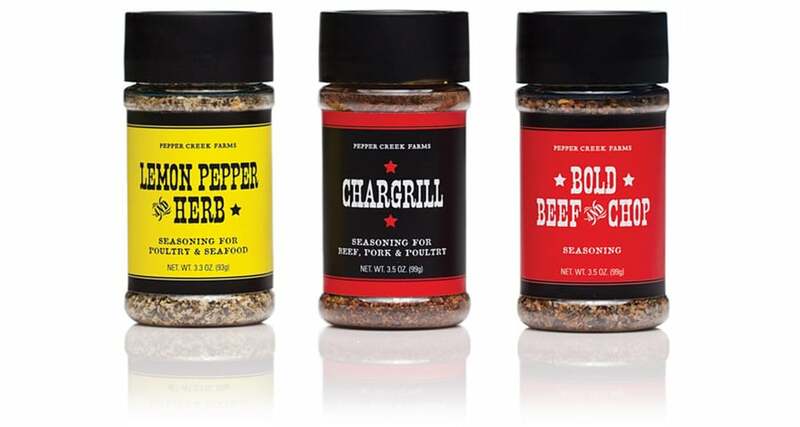 Set of three grill seasonings packaged in a gift set for grill masters. 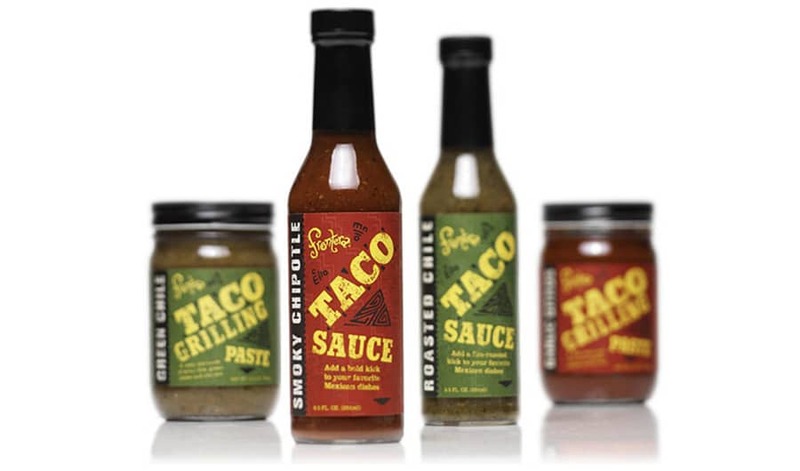 Clean design for the spices with strong use of color, and grill theme for the outer box with flame-broiled theme. 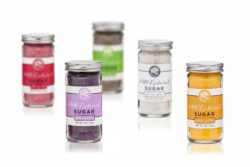 These unusual sea salts, packaged in small old fashioned wire jars, had little room for labeling. We developed a simple one-color design with an upscale feel that is simple yet effective and complements the product color for a strong product line. 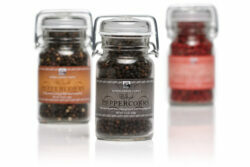 Exotic peppercorns from around the world needed a design to convey just that. Packaged in an old-fashioned glass wire-top jar, these beautiful peppercorns look stunning on their own and we designed the label to elevate their elegant, natural look even further. Each has a signature color indicative of the region its salt is sourced from, with exotic and elegant botanical-like flourishes to further enhance the essence of these salts. 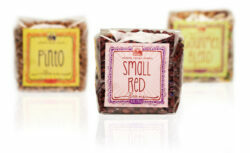 This spice package needed to stand out from the competition in the crowded spice category. 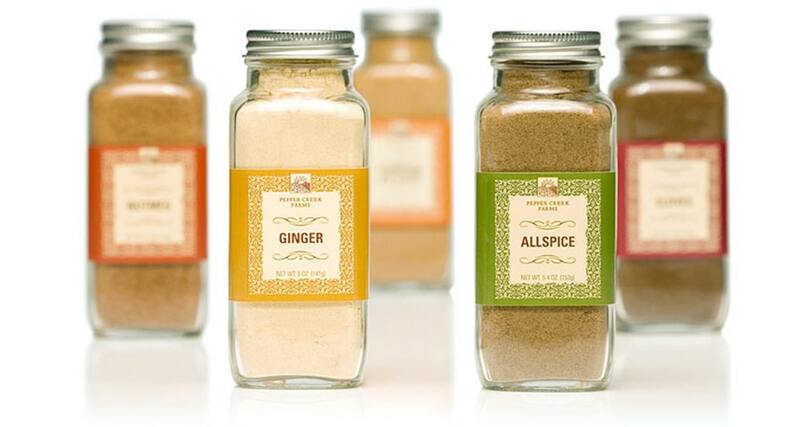 We used vintage botanicals to bring an element of nostalgia in the kitchen in modern, muted colors for a look that would feel at home in any kitchen setting as well as capture attention on the retail shelf. 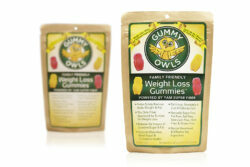 Packaging design for new line of Neuliven Health’s Gummy Owls natural chews to aid in weight loss. 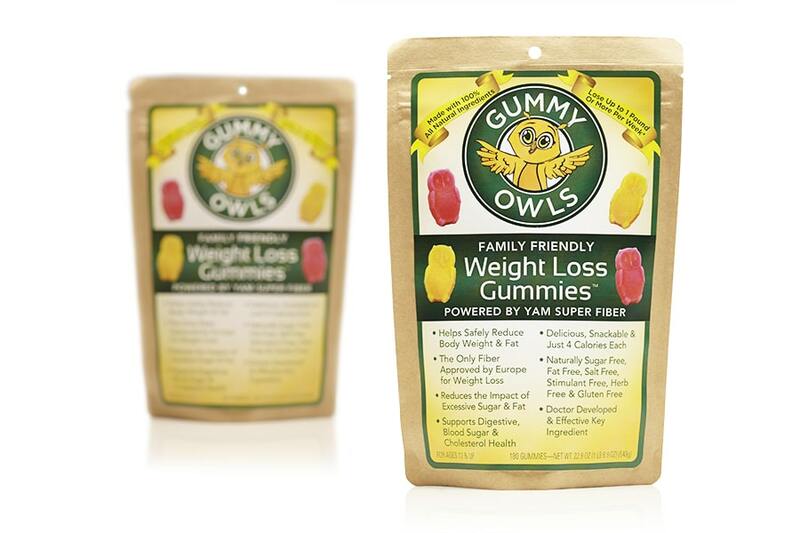 Approachable, friendly logo conveys that the product is safe and natural for adults and kids alike. 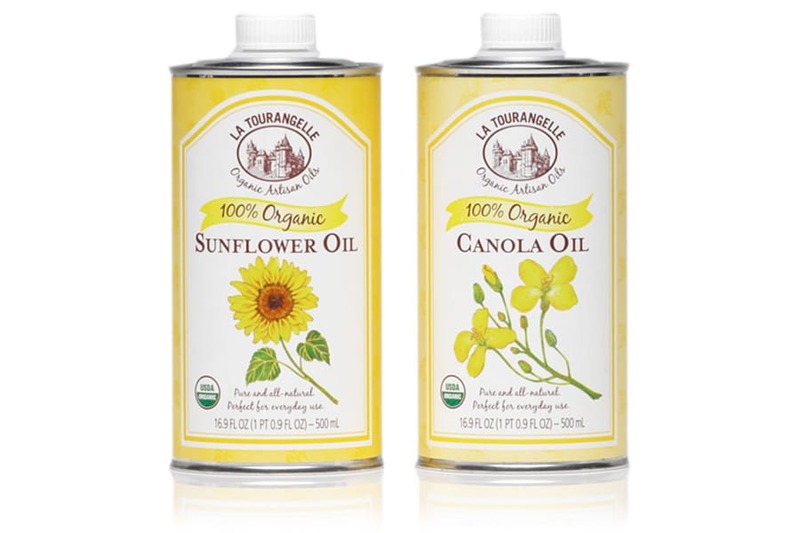 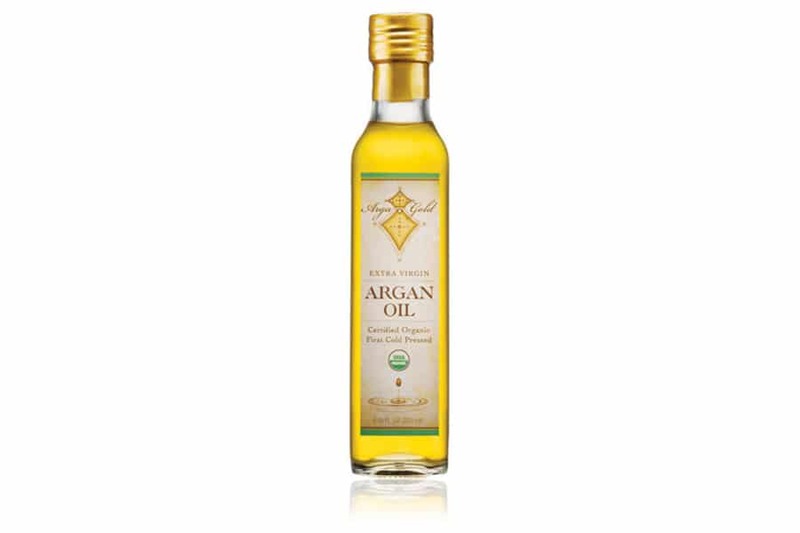 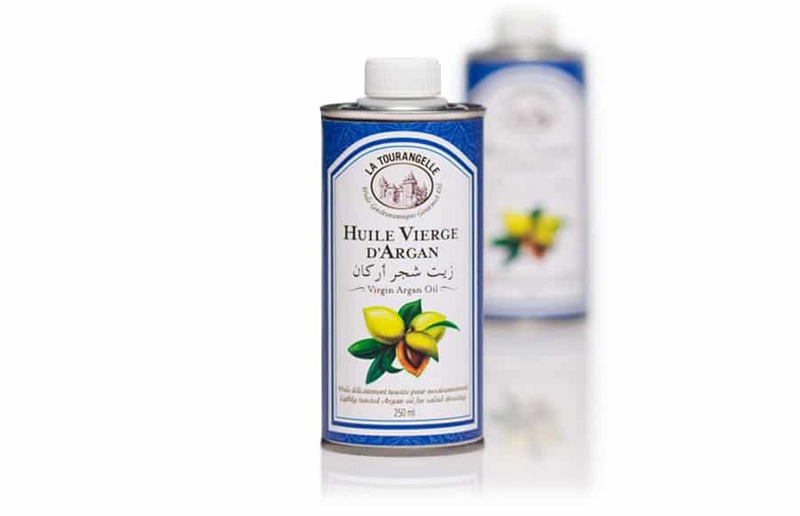 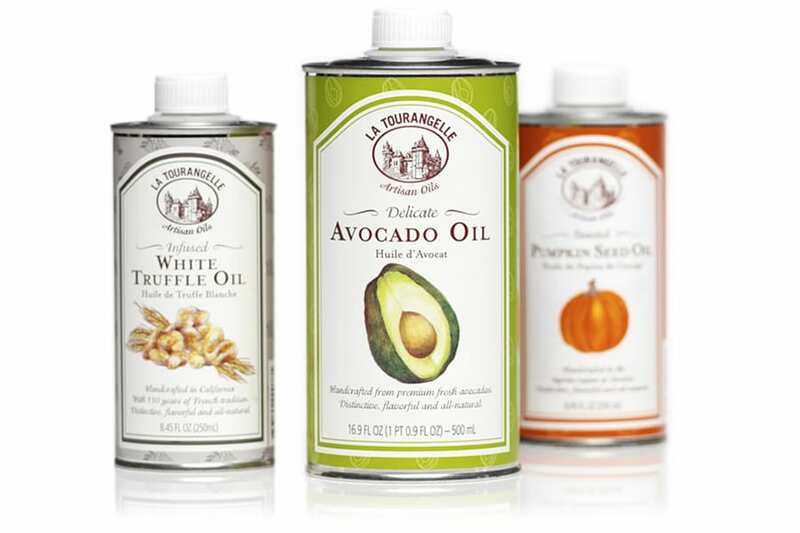 The design for these artisan oils by La Tourangelle is formal yet fresh, speaking to both the company’s European heritage (they make their oils using the traditional methods of their French parent company) as well as the rich flavors of the products themselves. 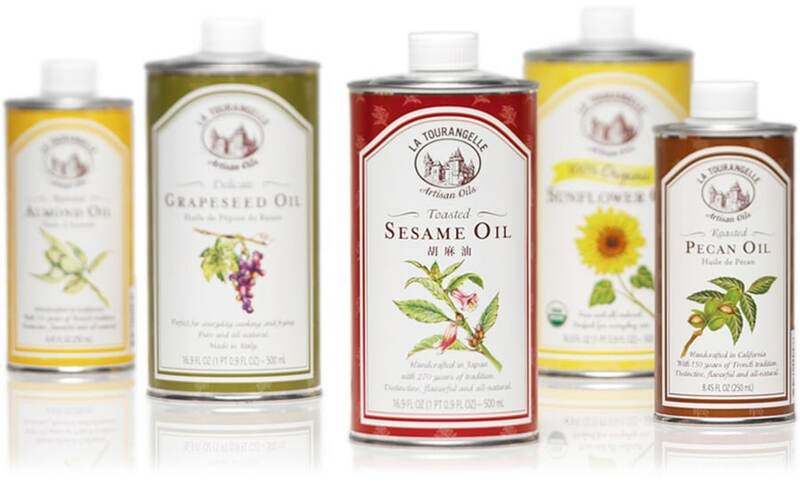 In a market where most competitors are in glass bottles and lacking in flavor in comparison, these tin cans with strong use of color and custom illustrations stand out well in the oil category. 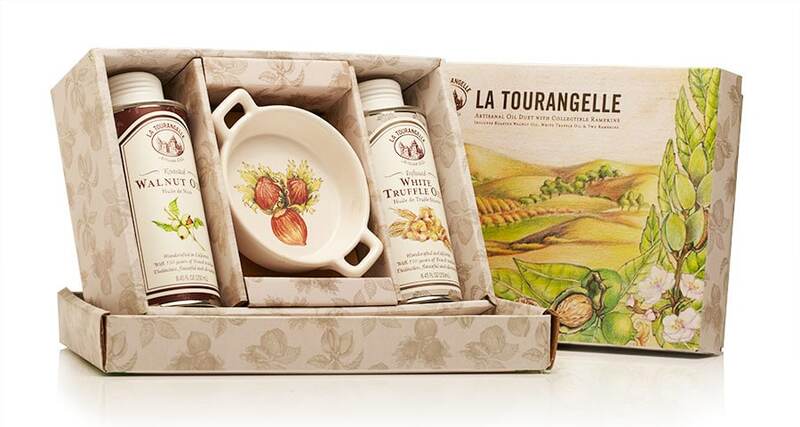 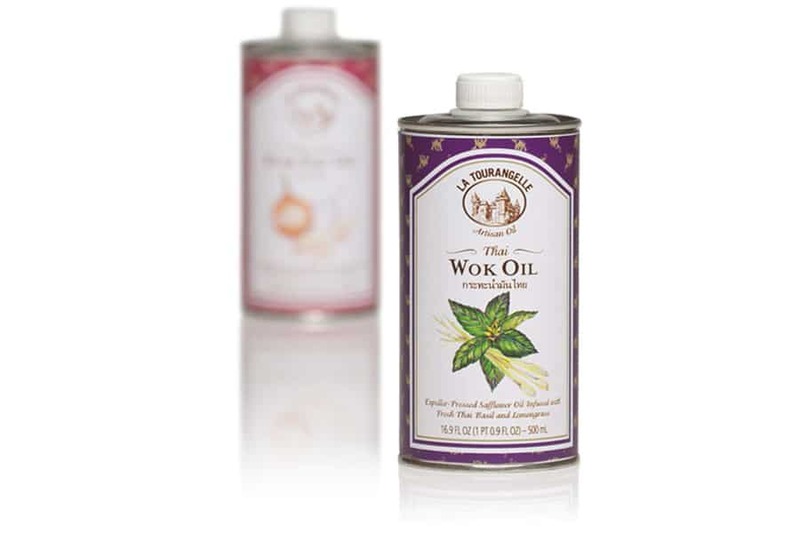 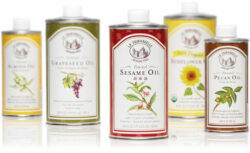 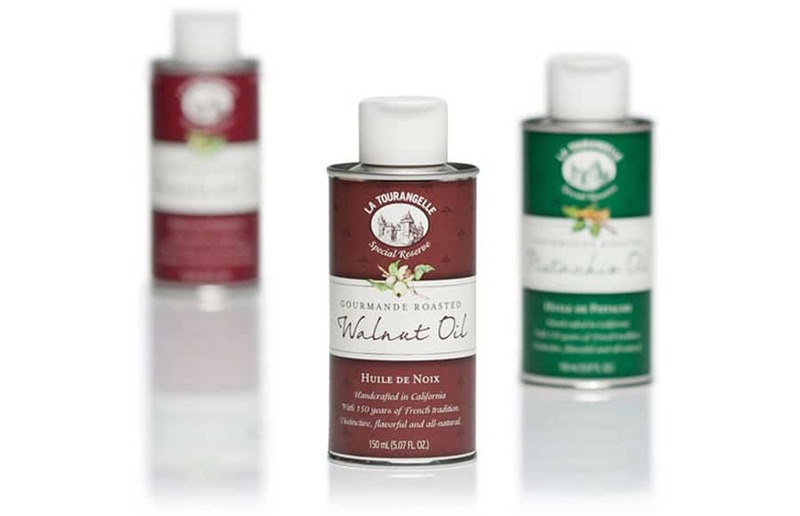 Packaging designs for La Tourangelle Artisan Oils’ culinary gift sets. 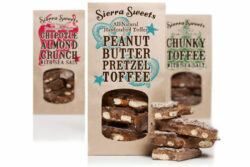 Merchandising tray box design for Costco. 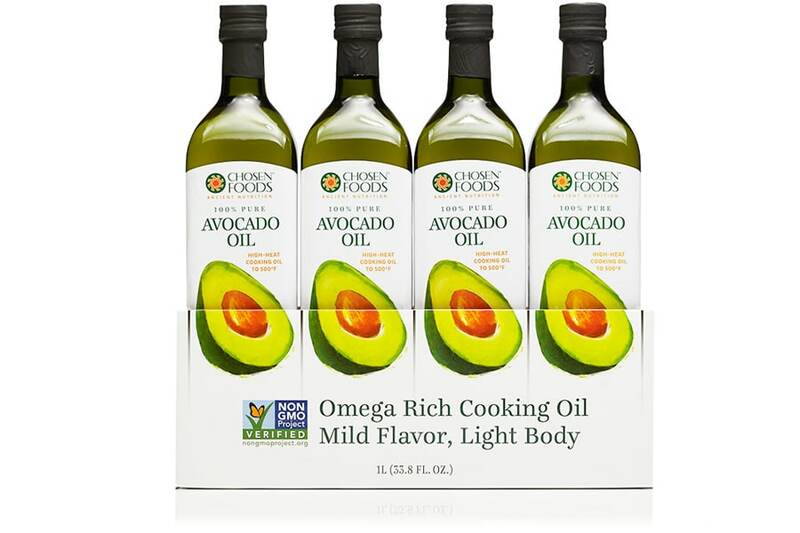 When stacked on a pallet, the box together with the oils creates a striking visual as the tray continues the bottle design. 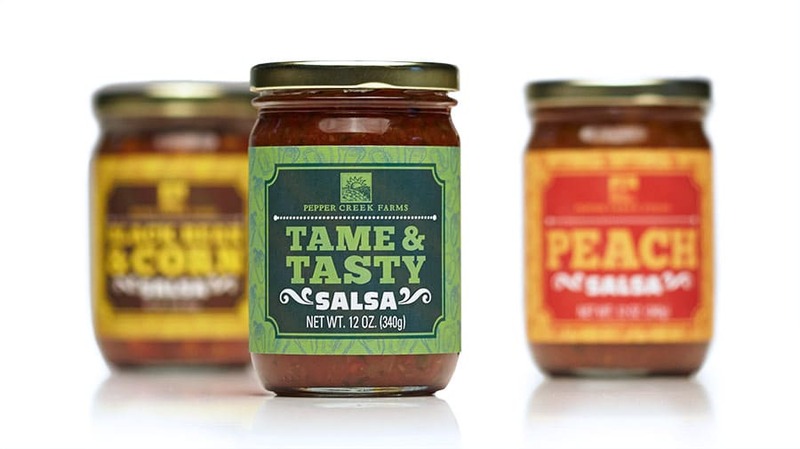 A strong and bold design with the focus on typography suited the needs for this salsa design. 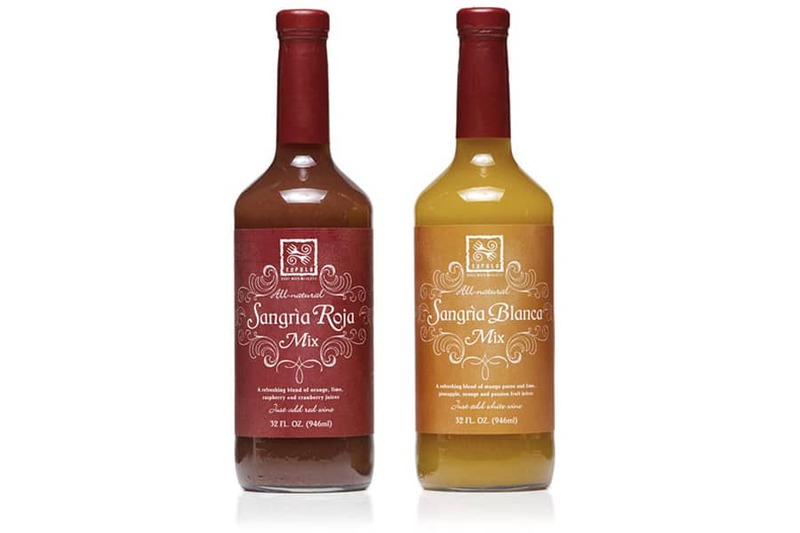 A background pattern made of the signature flavor ingredients together with strong use of vibrant color denotes flavor differentiation. 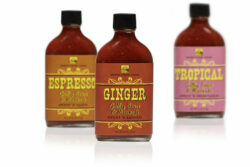 There are a lot of hot sauces on the market, and we wanted this one to be unique to stand out. 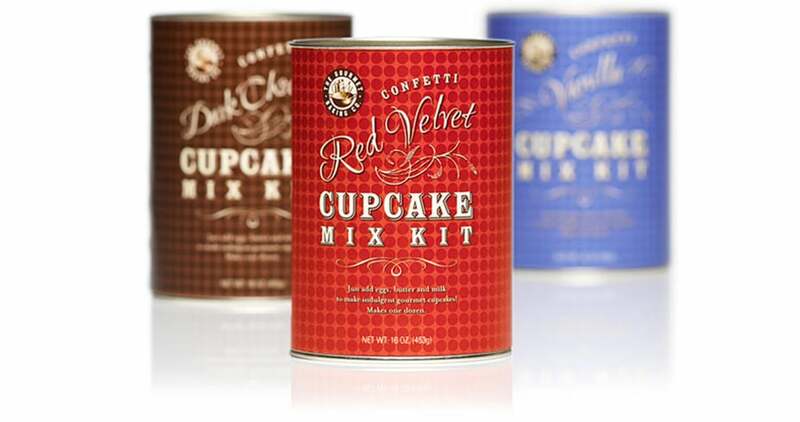 We used bright, bold colors but slightly skewed toward muted in contrast to many competitors. But not to be diminished on the hot front, we incorporated some wacky, fun backgrounds that speak to the spicy nature of the product. 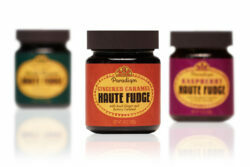 Add a dash of fun with the typography and it all comes together as a package that goes against the grain. 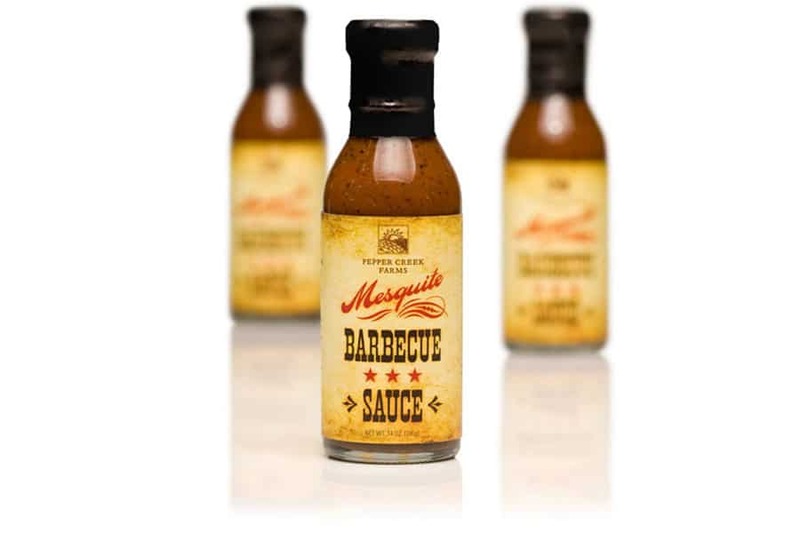 A warm, country, masculine, down-home design suited the audience for this BBQ sauce. 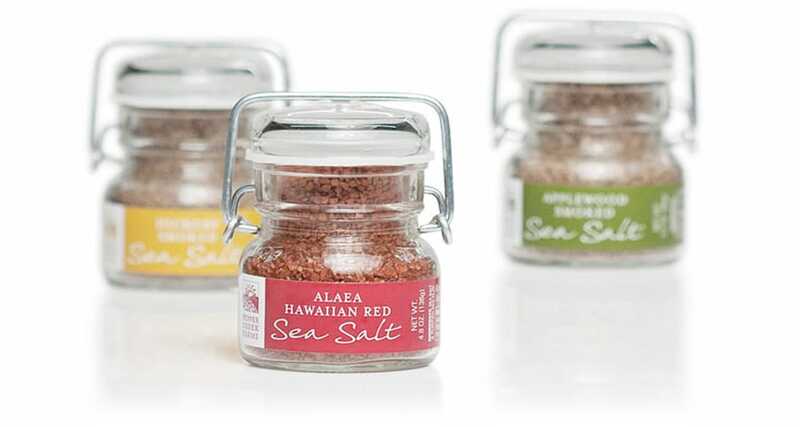 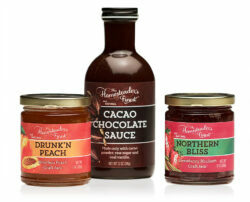 Unique color pairings and decorative elements to combine to create and upscale, elegant design for this condiment line. 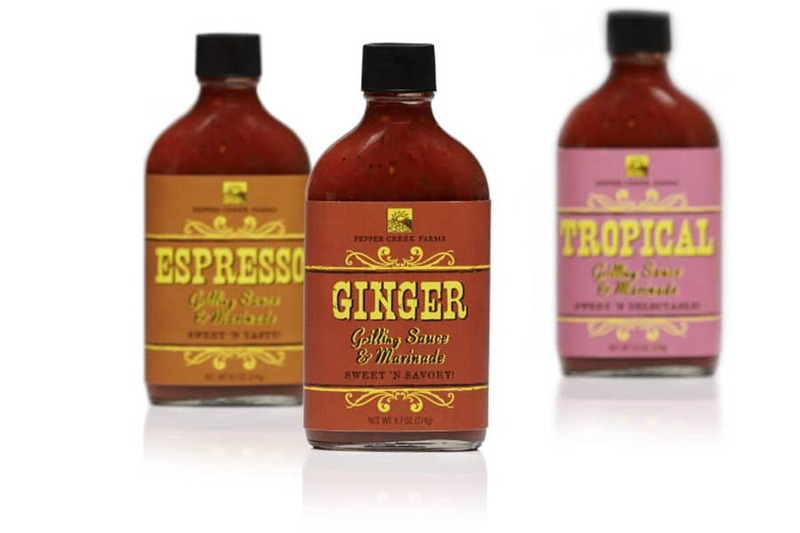 Design for Williams-Sonoma’s line of taco sauces for summer grilling. 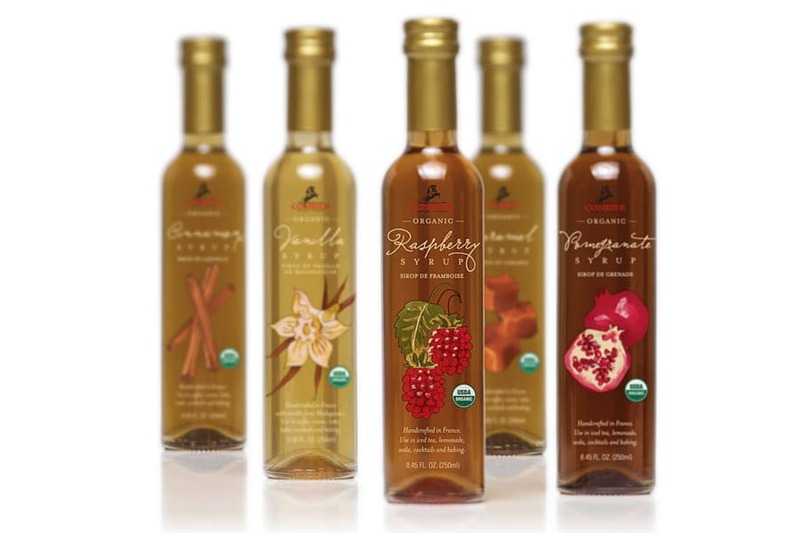 Private label of Frontera products. 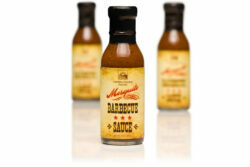 BBQ design concept for private label. Audience is outdoor sporting enthusiasts, particularly hunting and fishing types. 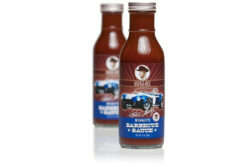 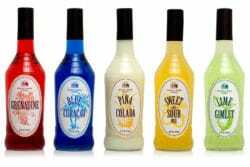 These products highlight the iconic Mustang Shelby and the man behind it for the Shelby Signature Foods line. 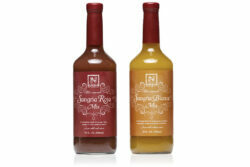 Steak marinade design uses strong, muted colors for clear flavor differentiation. 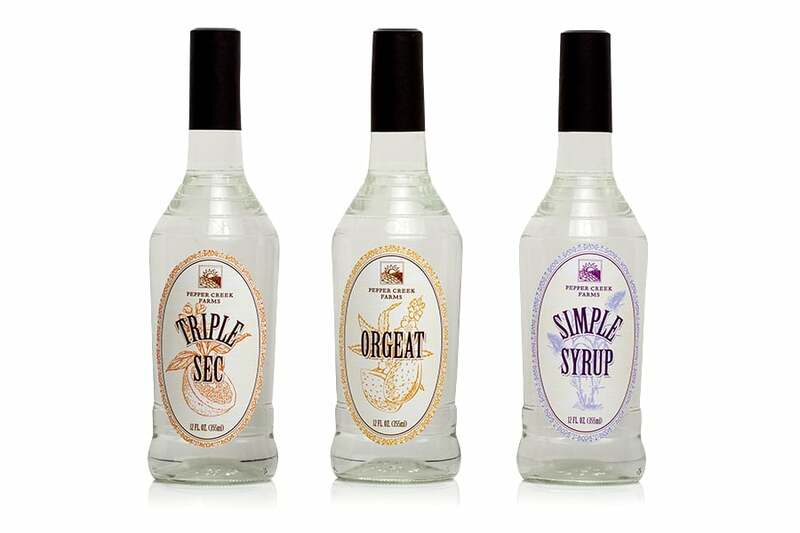 Packaged in a flask-type glass bottle, the goal with this design was to be upscale and approachable. 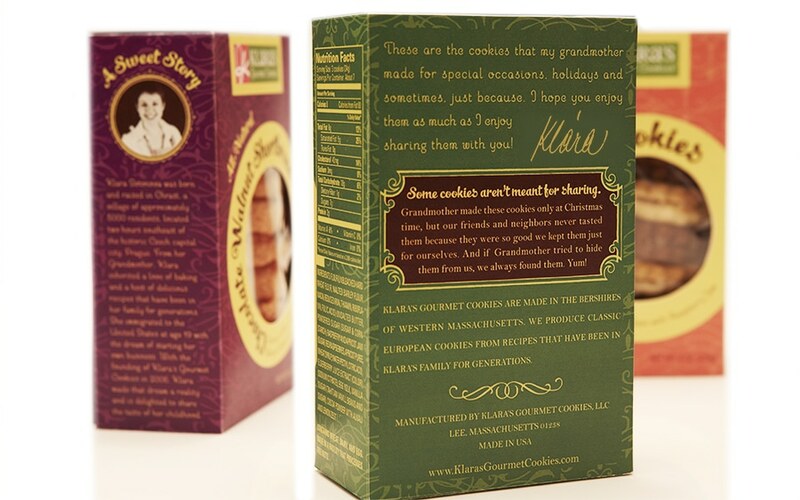 What’s the best part about designing cookie packaging? Sampling the product! 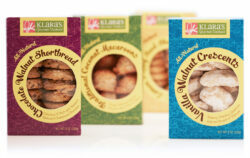 We developed this design for this high-end cookie line to represent the integrity of the product and the brand’s story. 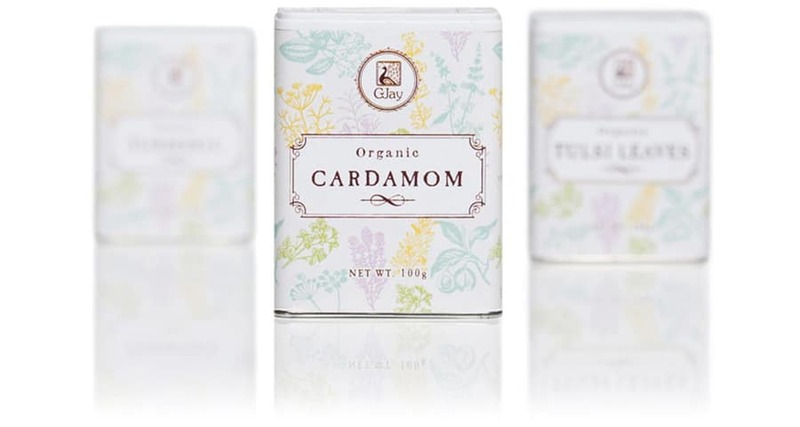 The gabled box is chic and purse-like, and the shaped flap also serves as the box opening. 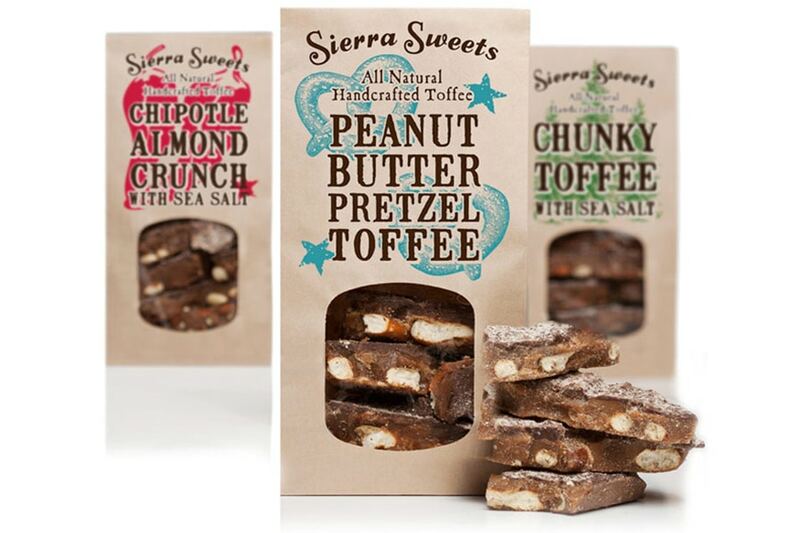 It was an all-around fun—and delicious!—project. 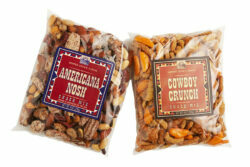 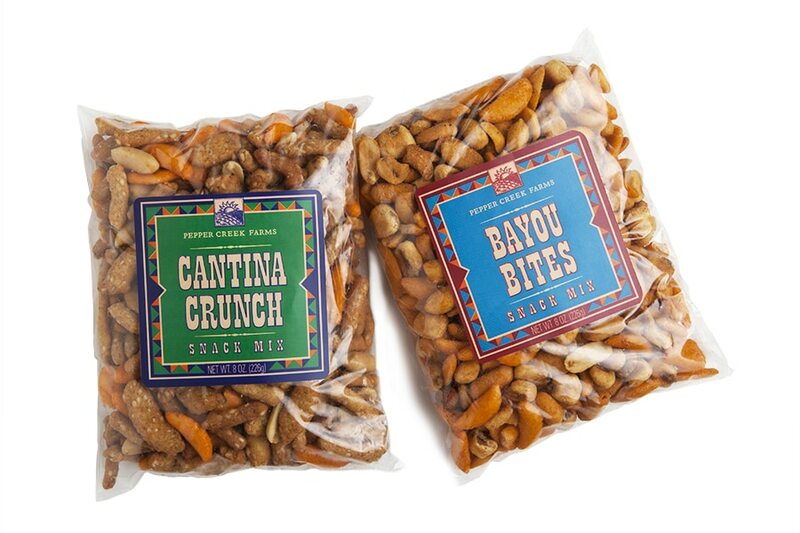 An Americana theme with muted colors and bold typography suited this line of snack mixes. 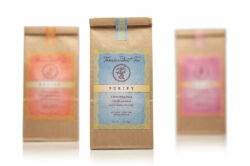 Design for new line of dry beans. 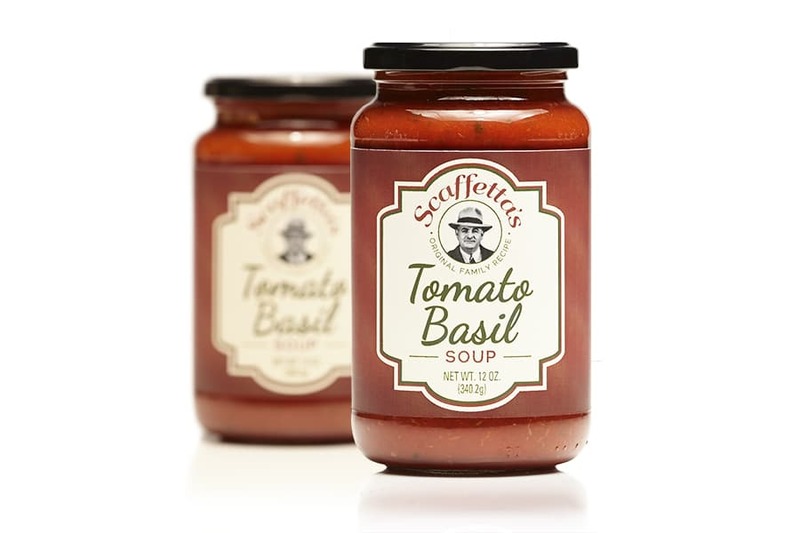 Goal was to bring excitement to the otherwise simple product in a way that still fits within the Pepper Creek Farms family. 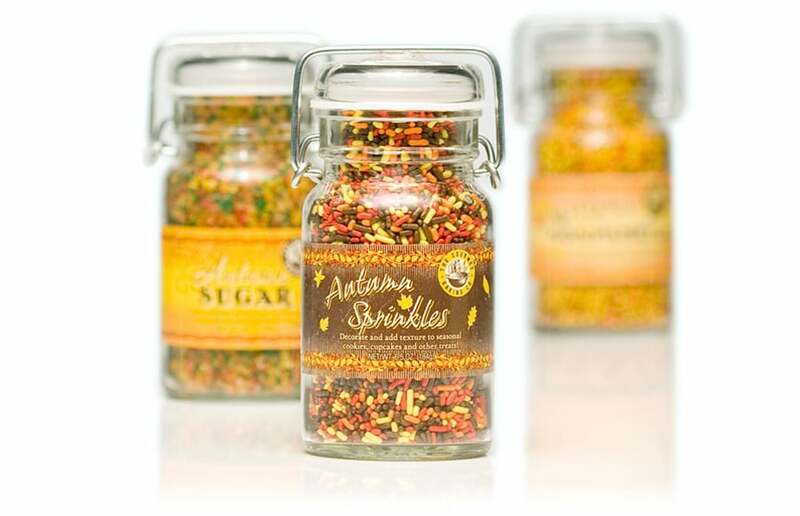 We developed a Victorian theme for this pickle kit mix to coordinate with the name as well as to romanticize the easy process of making your own pickles with this simple kit. 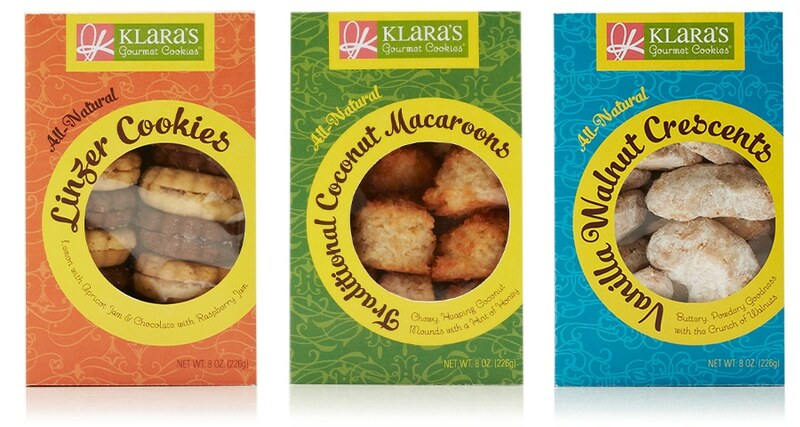 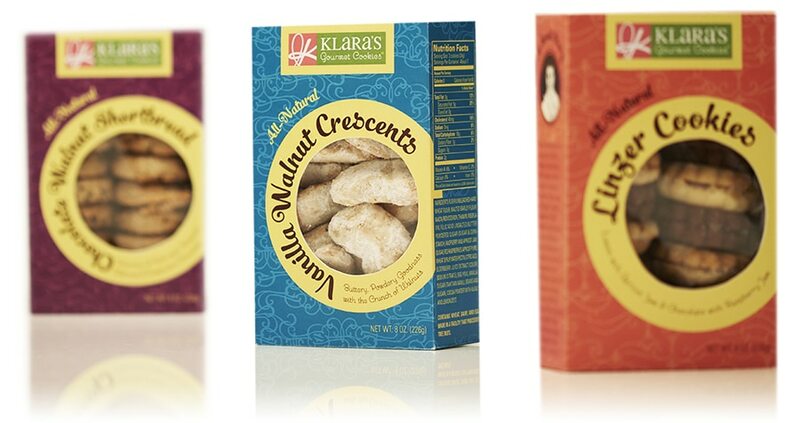 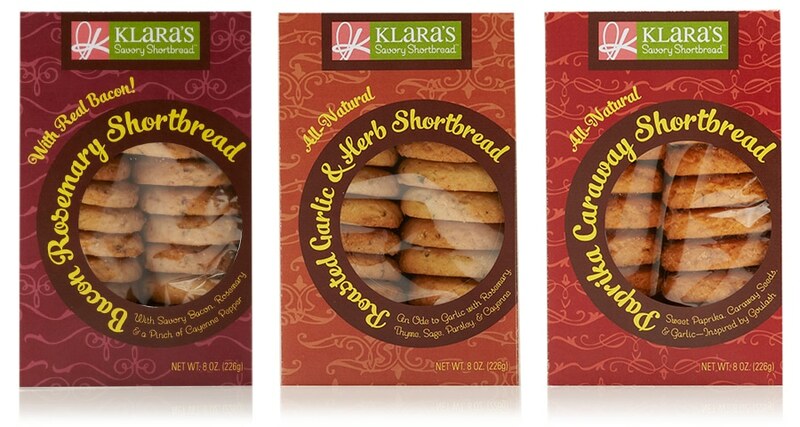 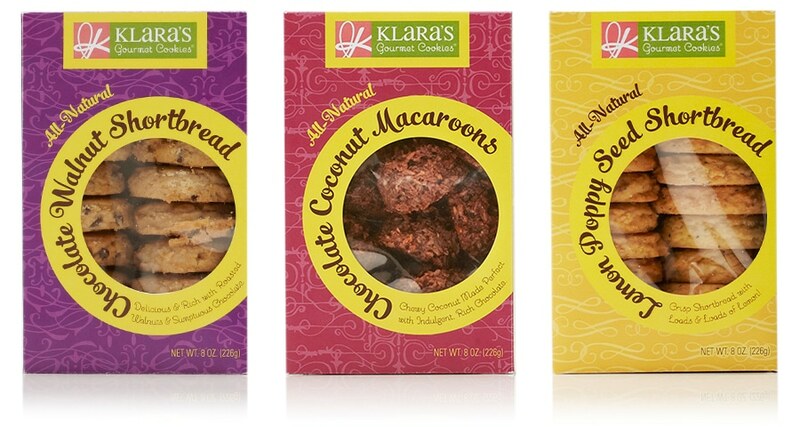 Redesign of Klara’s Gourmet Cookies packaging as part of Package Design Magazine’s Makeover Challenge. 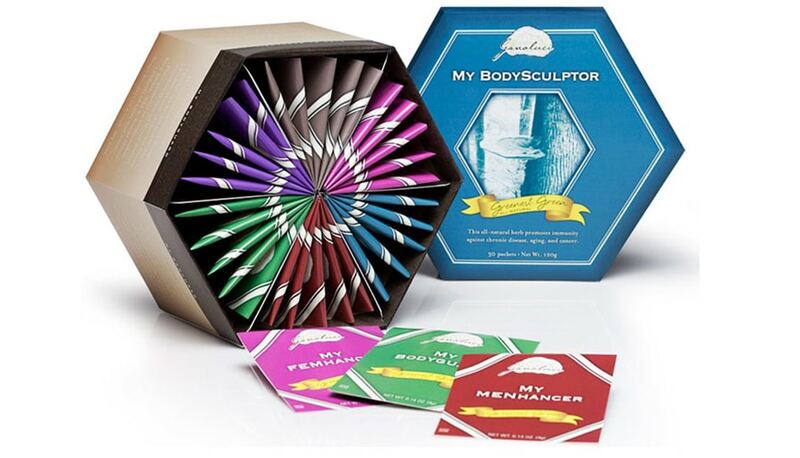 Box structure was chosen for ease of merchandizing, protection of product and maximum display space on the package. 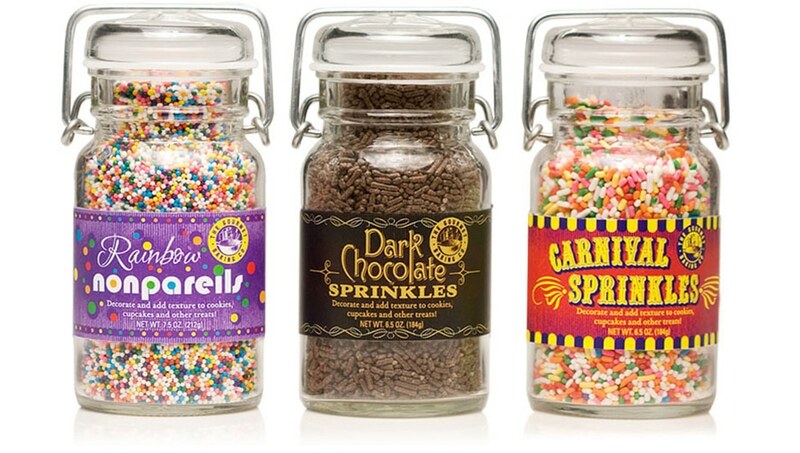 Circular motif creates striking design that stands out on the shelf, while bold colors convey the fun and whimsical flavor pairings. 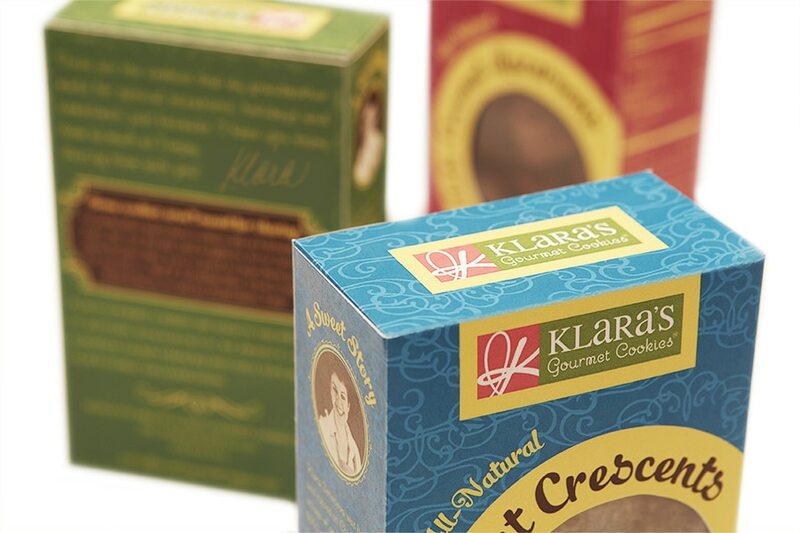 The subtle background patters are a nod to Klara’s heritage, from which she draws on traditional family recipes in new and exciting ways. 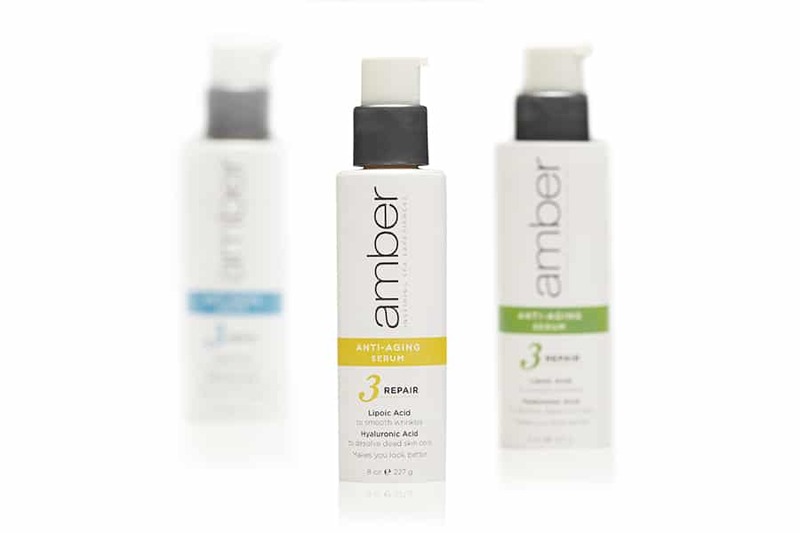 Amber Products dominates the spa supply category but needed a new design for their extensive line of high-quality products. 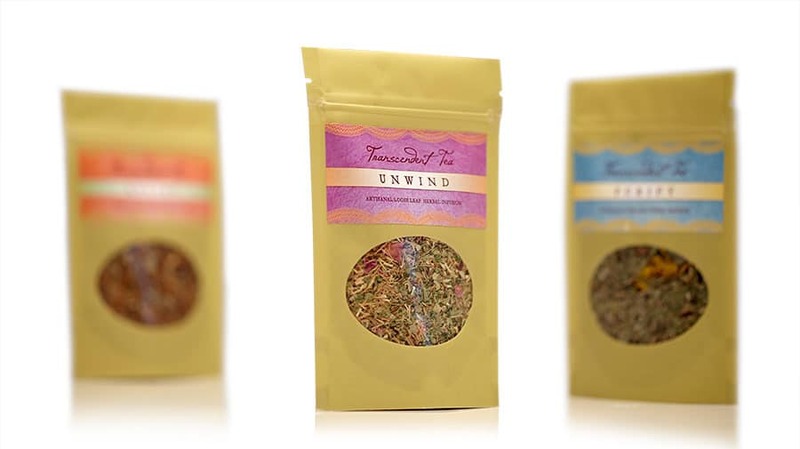 This redesign of their spa supply product packaging is fresh, clean and professional, while retaining brand equity and recognition. 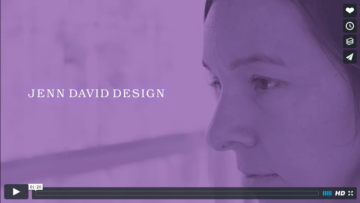 The design system was created to work across all product groups and subcategories, and expand for future line growth. 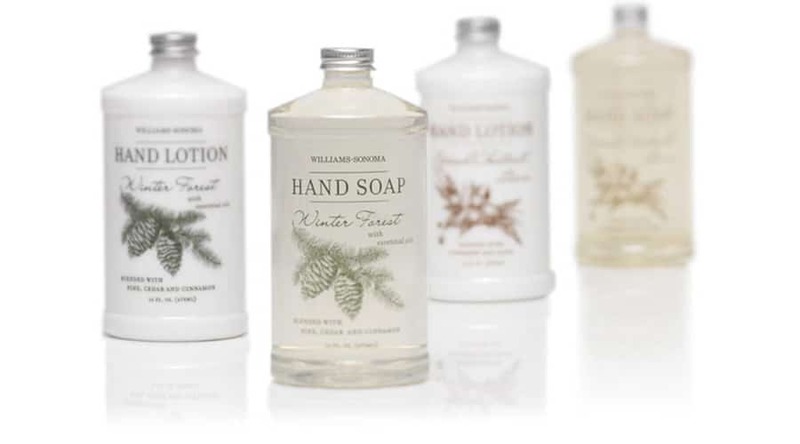 Upscale design using custom illustrations for Williams-Sonoma’s seasonal-themed soap and lotion program. 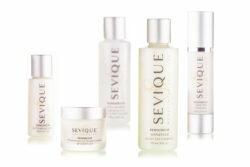 Sente Bella packaging design for Bella D’ora Spa’s line of upscale body care products. 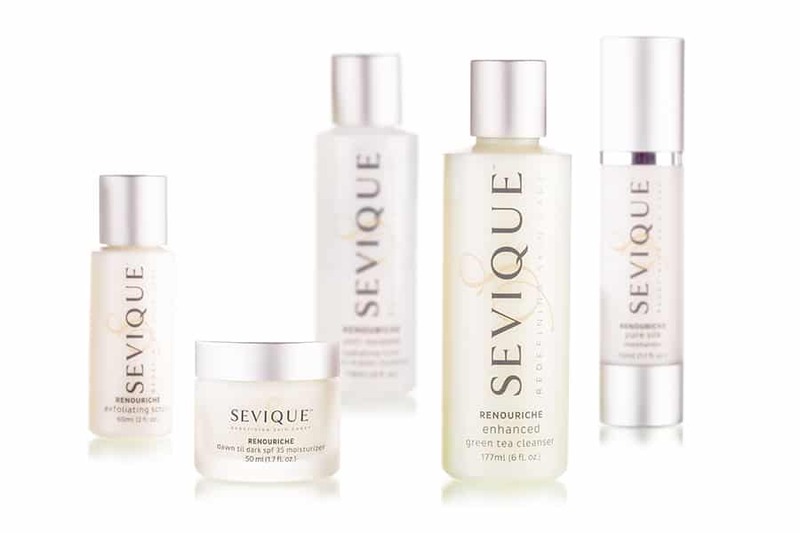 Sleek and high-end to convey the high quality ingredients used, to complement the Bella D’ora branding and reflect the look and feel of the spa. 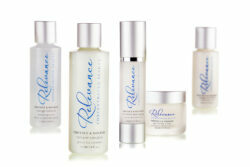 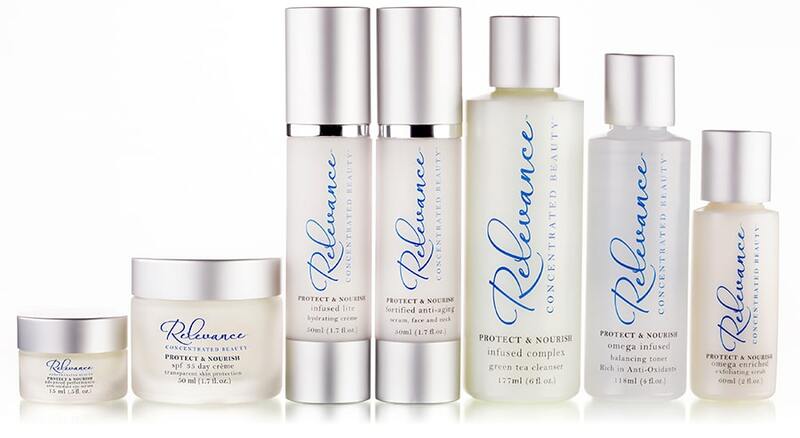 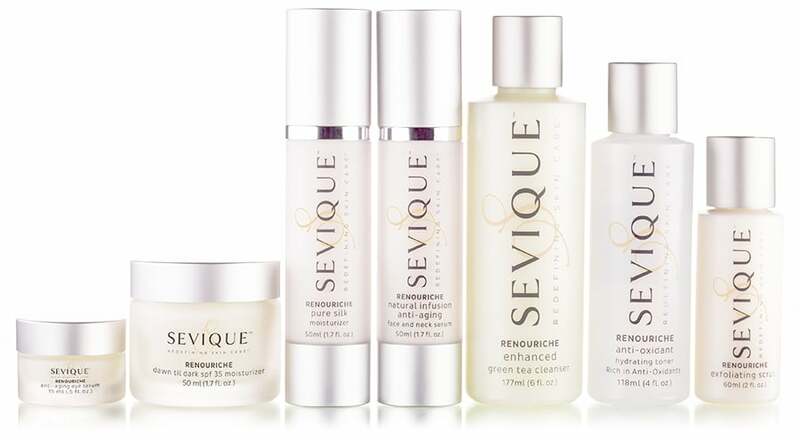 Logo and packaging design for new high-end skincare line, retailed in medical spas and dermatology offices. 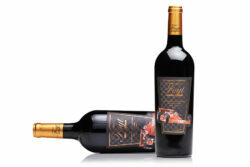 The elegant yet clinical design conveys the effectiveness of the product and reflects the high price point. 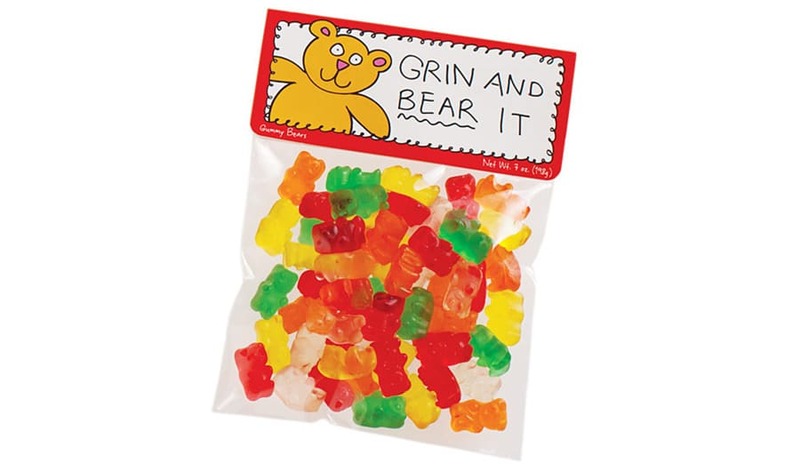 Important aspects of the product are called out on the front of the package. Logo and packaging design for new skincare line. 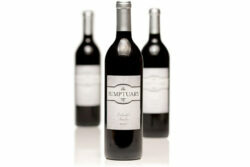 The sophisticated, clean design is reflective of natural, effective beauty and reinforces the high price point. 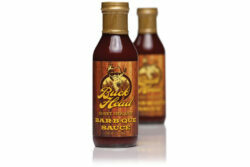 Key ingredient callouts are featured on the front of the package. Clean, simplistic design for this line of approachable yet invigorating bath and body products.